Stuck in time? 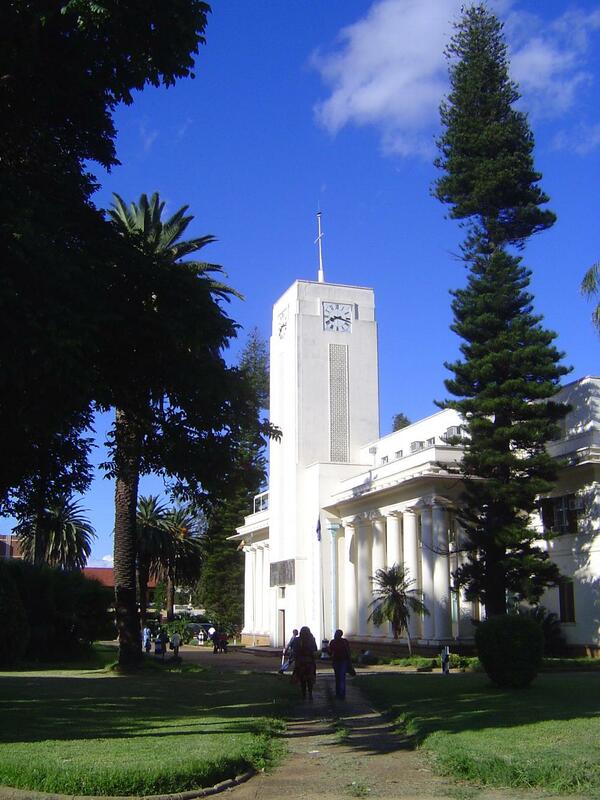 There are lots of good examples, but Bulawayo is high on the list, because there's been so little investment in the city since the 1970s. 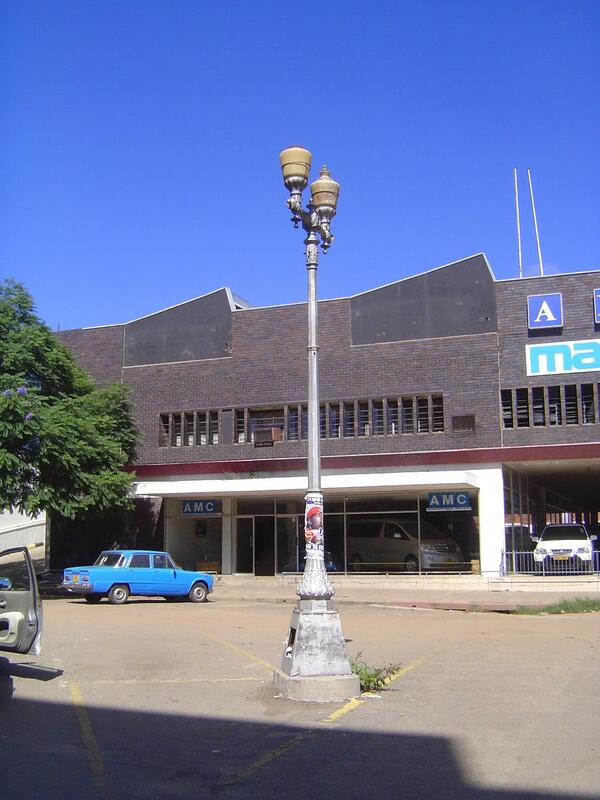 Most of Bulawayo's Victorian street lights have been replaced, but a few survive. 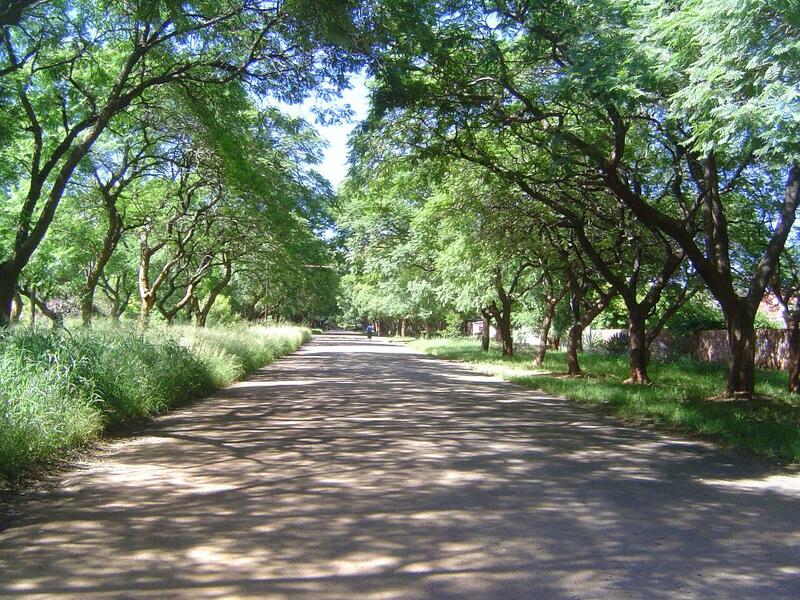 You have to admit the streets are clean. 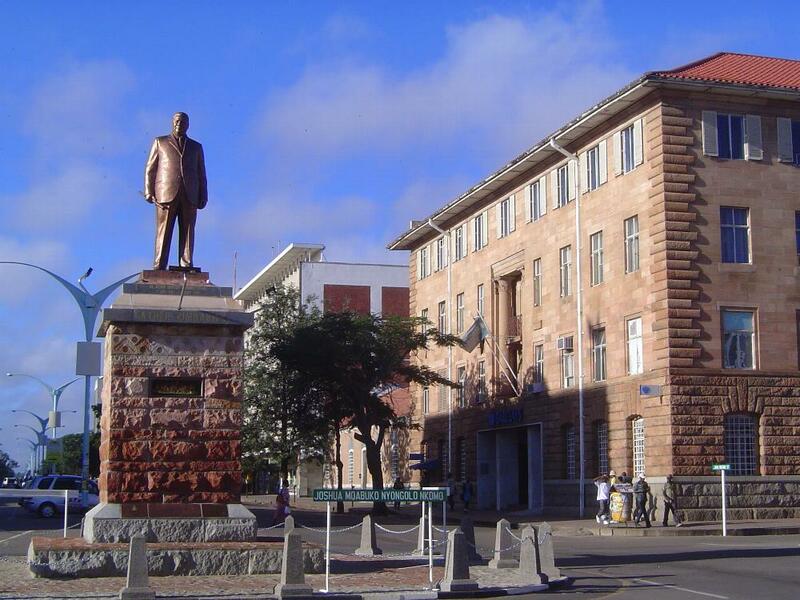 A statue of Joshua Nkomo was unveiled in 2013 at the corner of Main Street and Eighth. 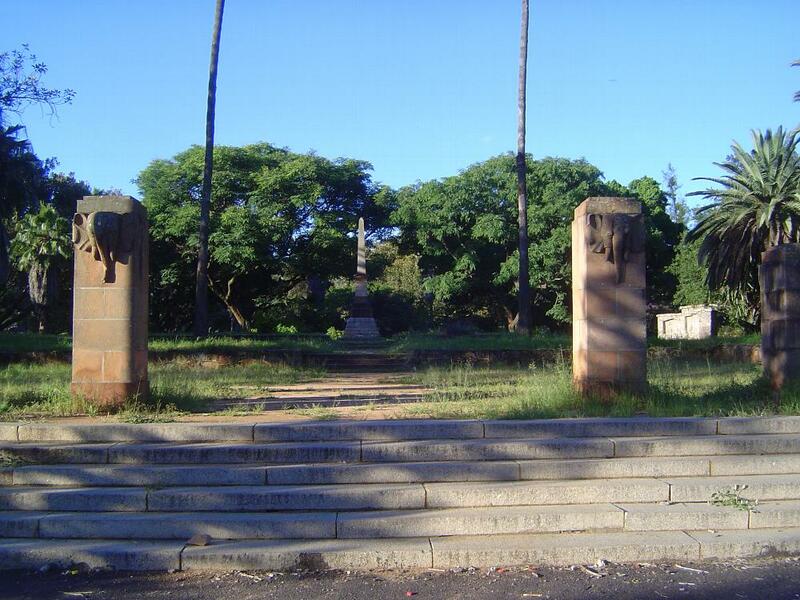 A statue of Cecil Rhodes stood on the same spot (but with a different plinth) until 1980. 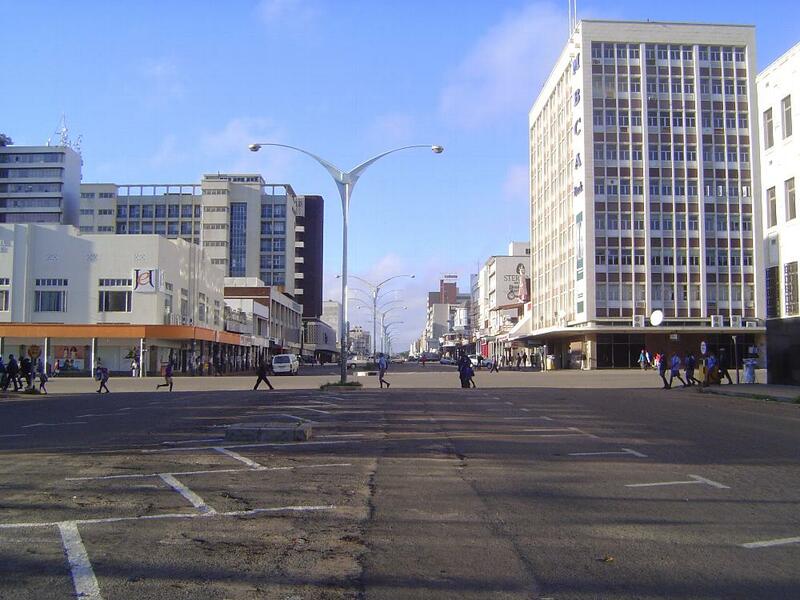 Main Street at the same time got a name change: now it's J. Nkomo Road. 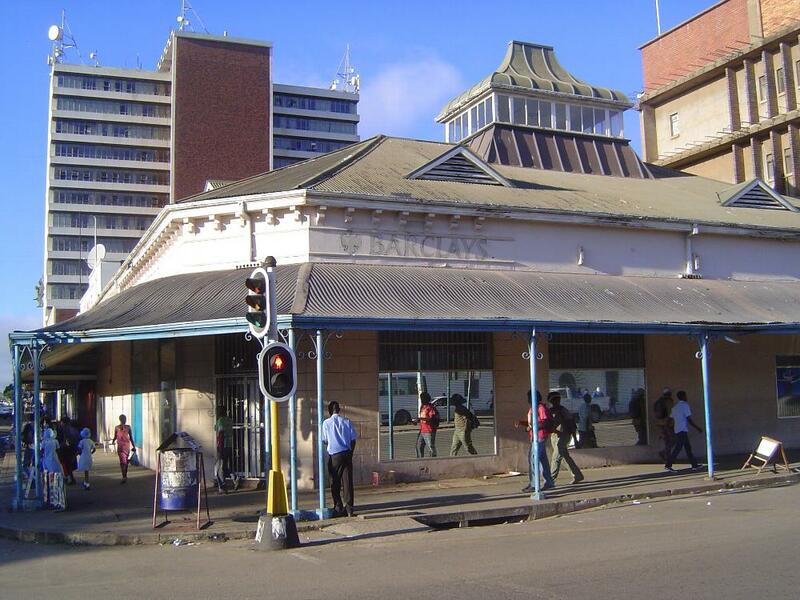 Cynics pointed out that the change was ordered only after Nkomo, Robert Mugabe's longtime rival, was safely dead. 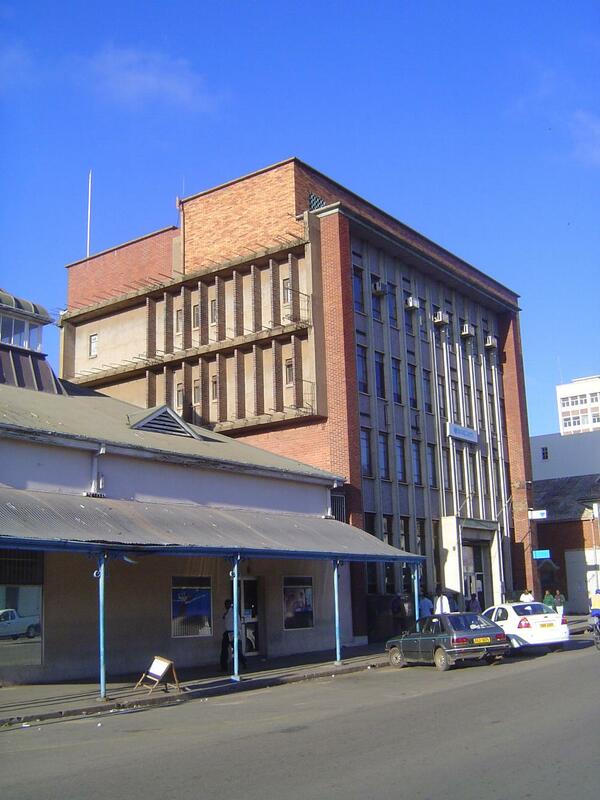 The building on the right is one of several in town belonging to Barclays. Up top, the singularly uncomfortable vehicle called a Cape Cart. The carts were often fitted with a canopy, but it didn't make the ride any smoother. 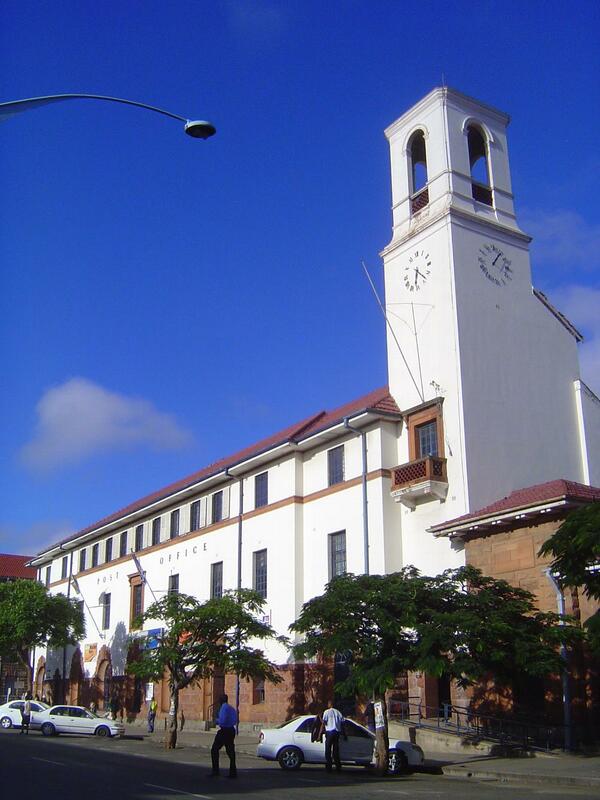 Substantial buildings were built within a decade of the town's creation. 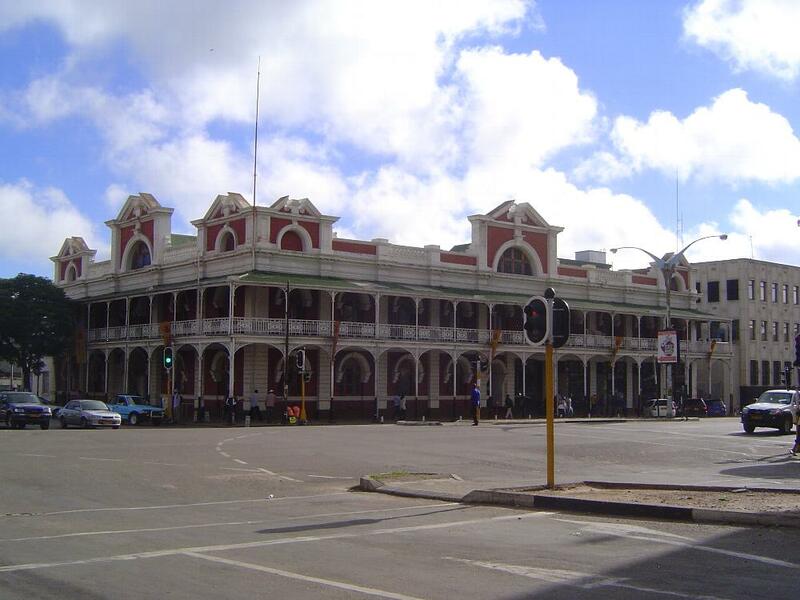 Prime example: the Willoughby Building from 1901. 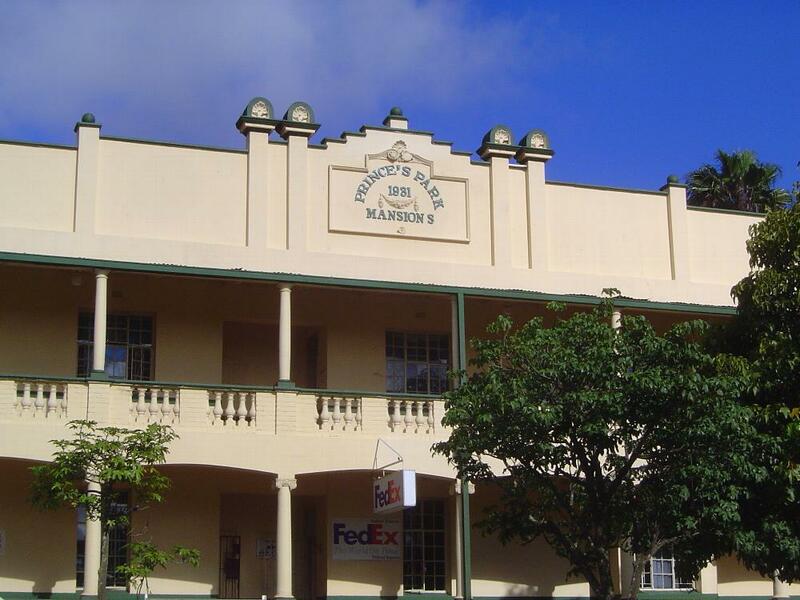 The building was the headquarters of Willoughby Consolidated, a mining and ranching firm established by Sir John Willoughby, a military officer who was on the famous (more commonly, the infamous) Jameson Raid. 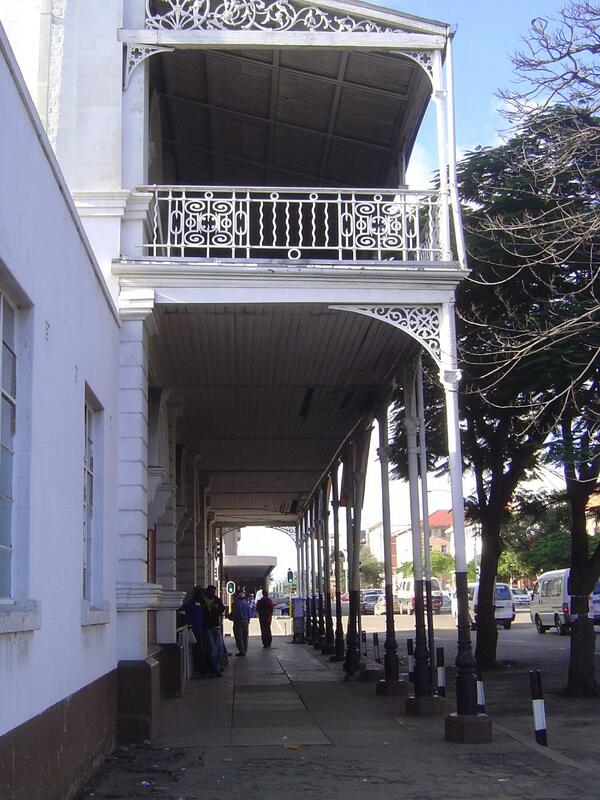 In 1980, the year of Zimbabwe's independence, the building was sold and became an art gallery. 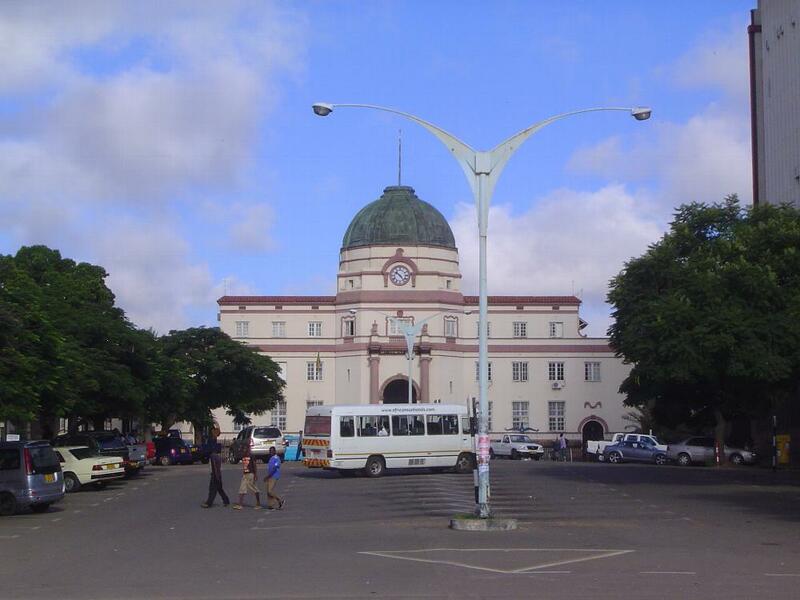 It is now a branch of the National Gallery. There were hopes at the time of another Rand, but 'twas not to be. The copper mines to the north wound up mostly in the Belgian Congo. 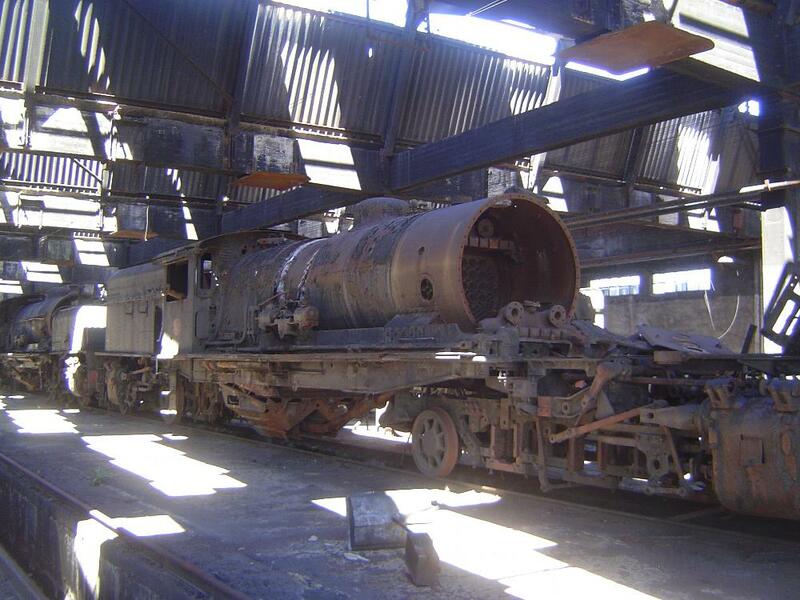 Rhodesia had to settle for the Wankie colliery, an important resource but... coal isn't copper, let alone gold. 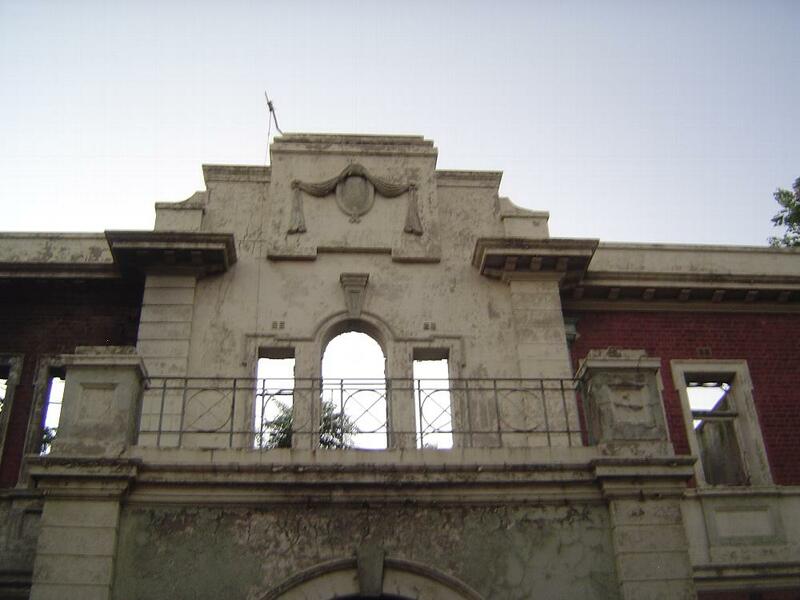 Other buildings of the time are not so well-maintained. 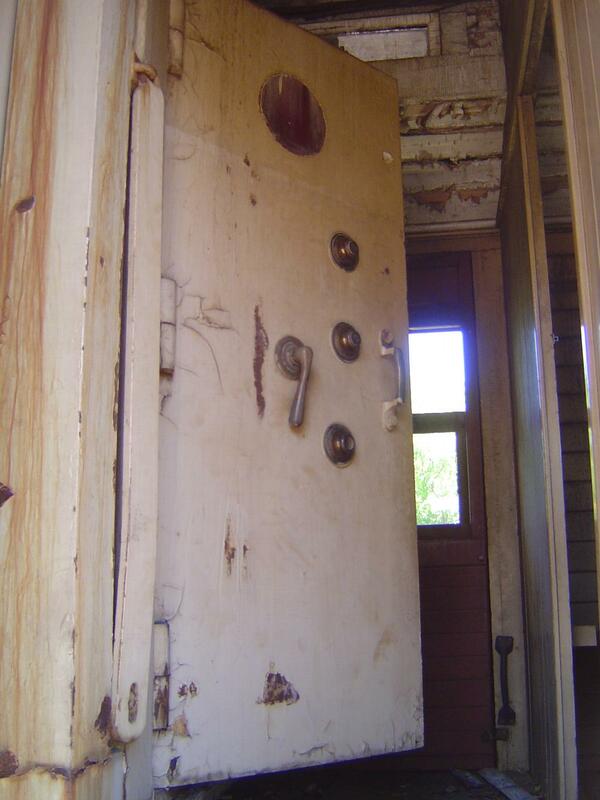 A third example, with what seems to be the original front door. 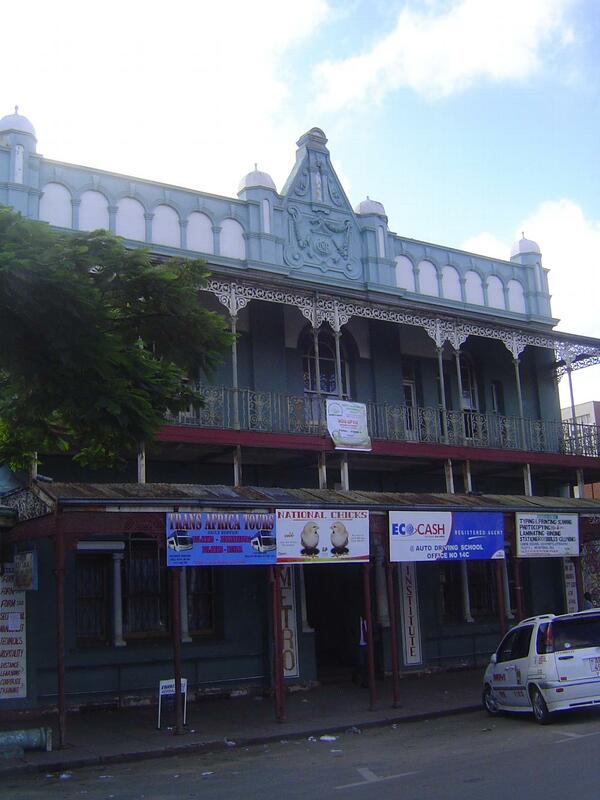 In the British era, the occupant was Preece and Mackenzie, printers. Gradually, cast iron lost its allure and was replaced by masonry. 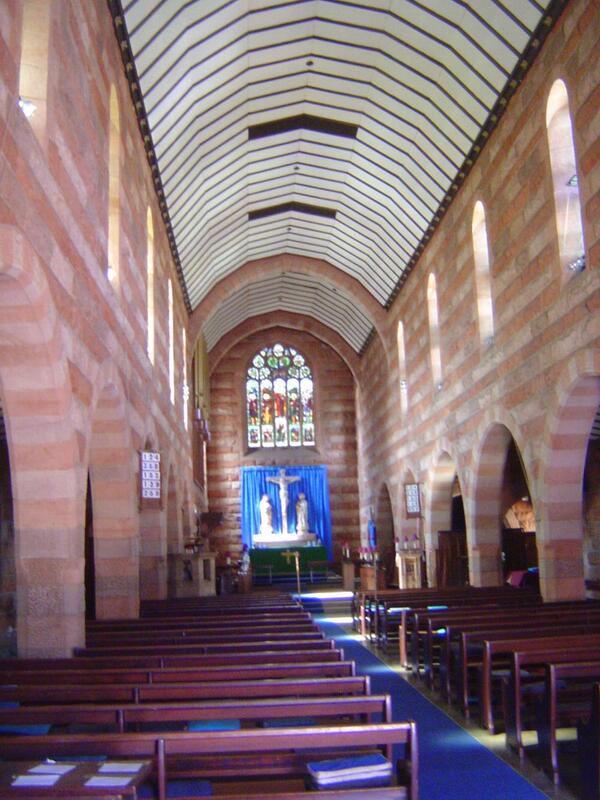 Here's an early example, the Anglican Cathedral of St. John. 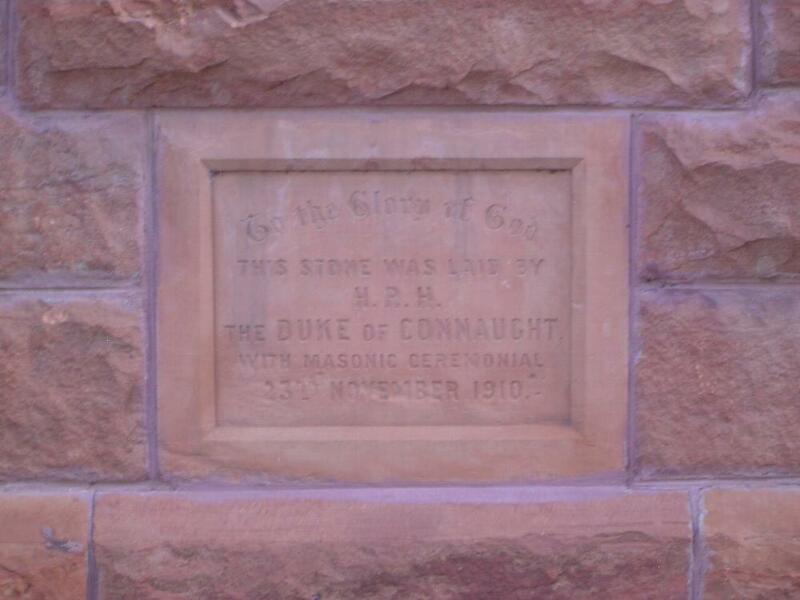 The Duke was Victoria's third son, and he traveled prodigiously, including a trip to South Africa to open the newly created parliament of the Union of South Africa. 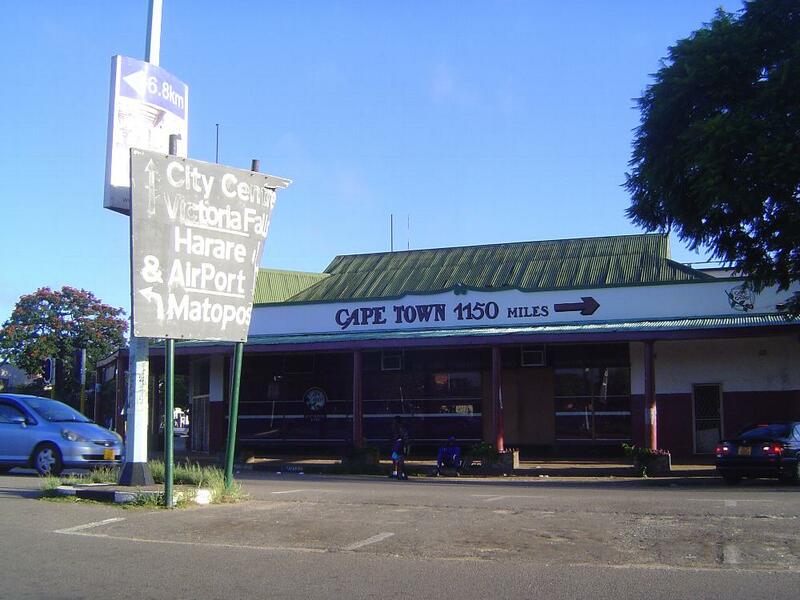 He squeezed in a side trip to Bulawayo. 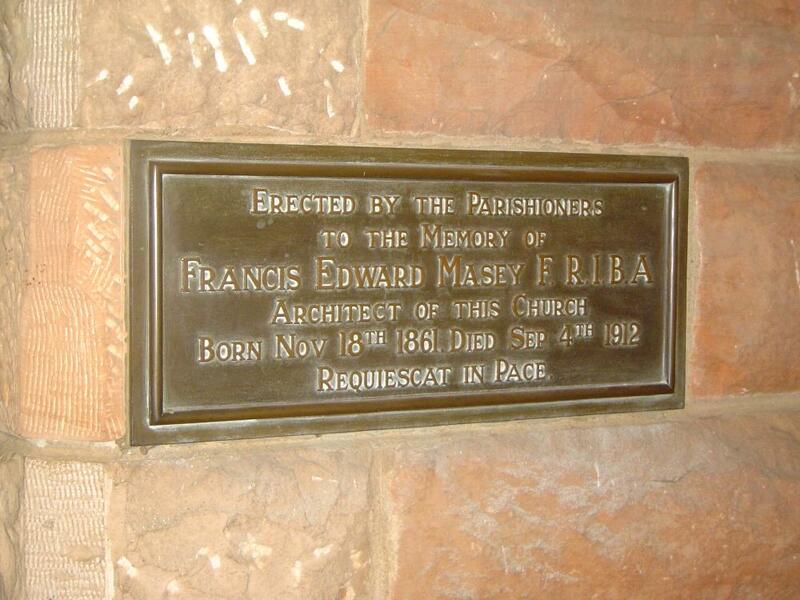 Masey, who had worked in the London office of Alfred Waterhouse, came to South Africa and found himself in partnership with Herbert Baker. 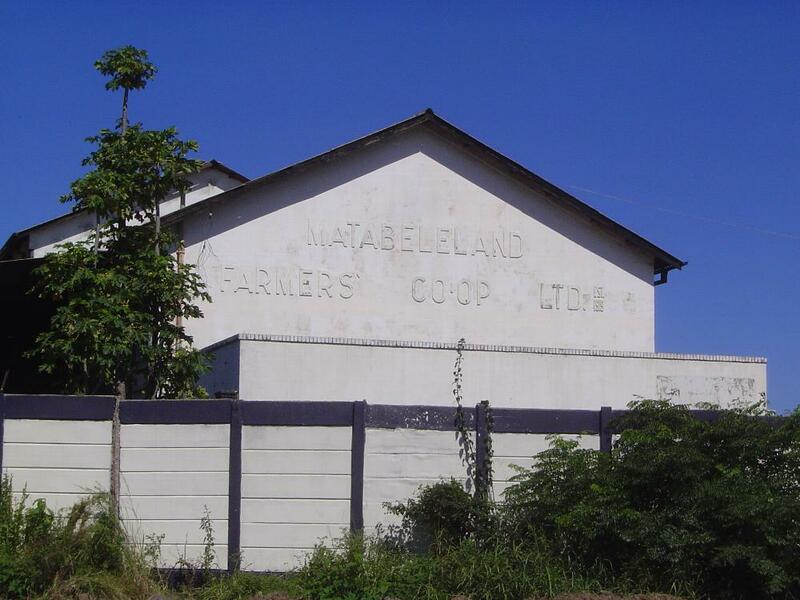 Eventually the partnership broke up, and Masey came north to Rhodesia in 1910, only to die of pneumonia three years later. 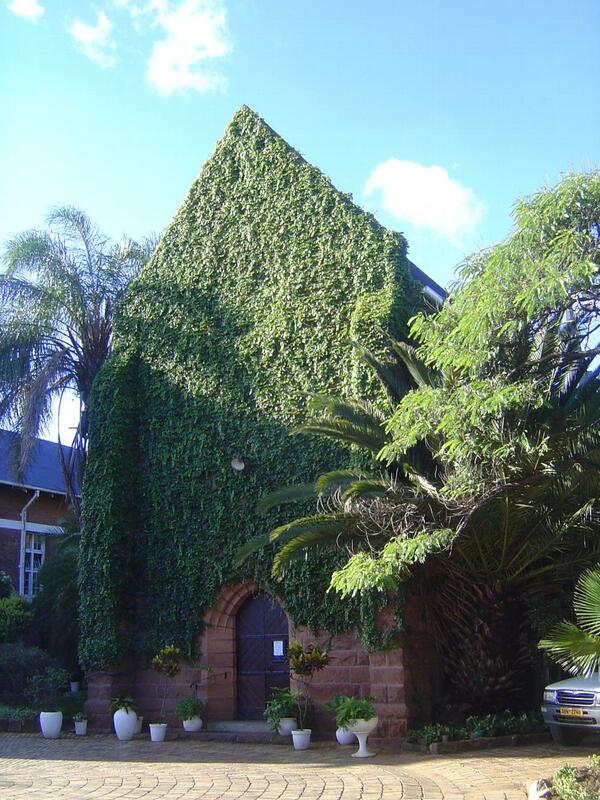 This church was one of his local accomplishments; another was the Shangani or Wilson Memorial, coming up later in this file. 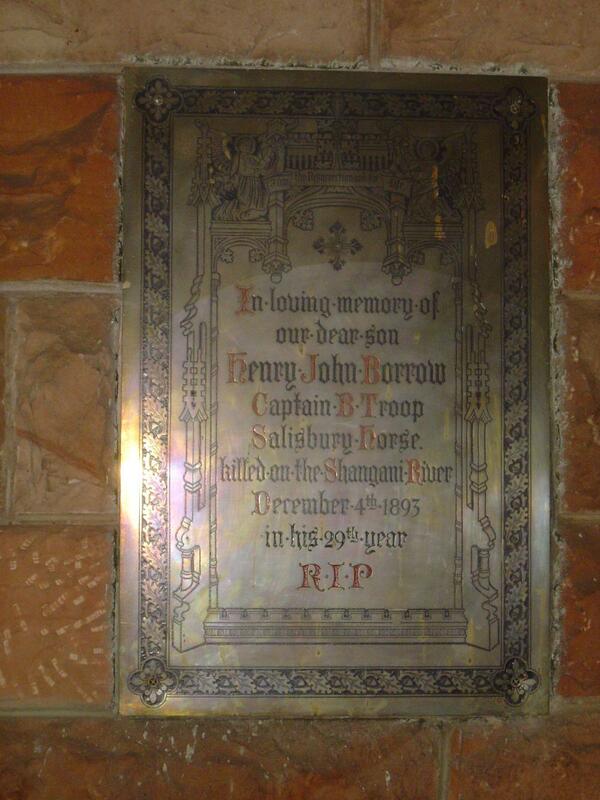 A handsome plaque remembering one of the men honored on the same Shangani or Wilson memorial. 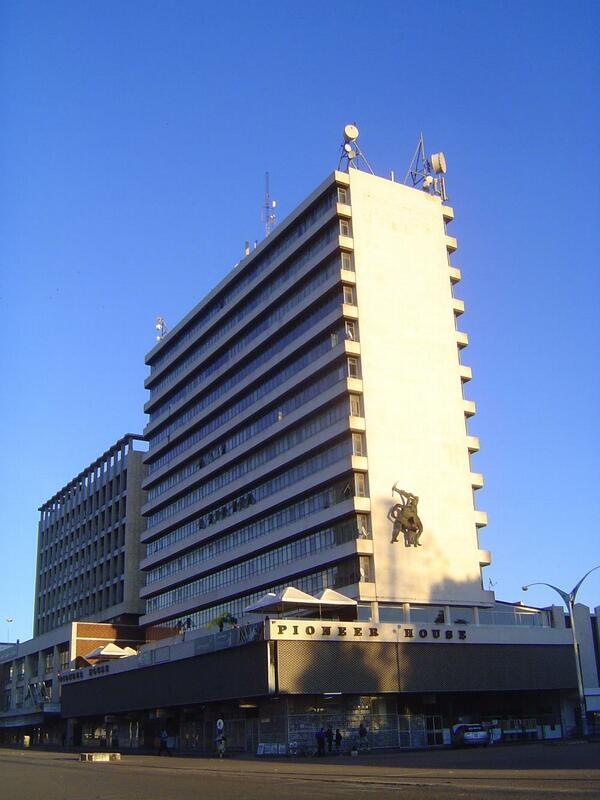 The Tredgold Building is a court house and the seat of other government offices. 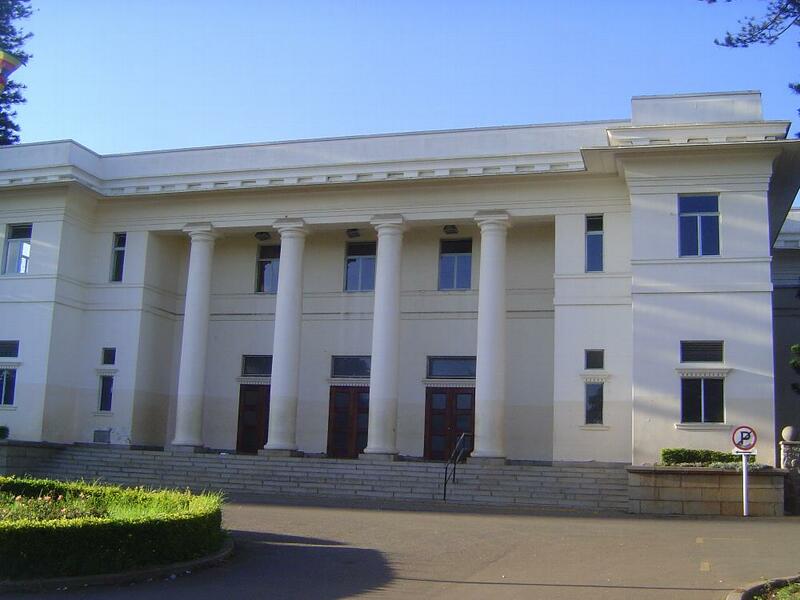 It was built in the 1930s and later named for Robert Tredgold, a judge who held many other government positions. 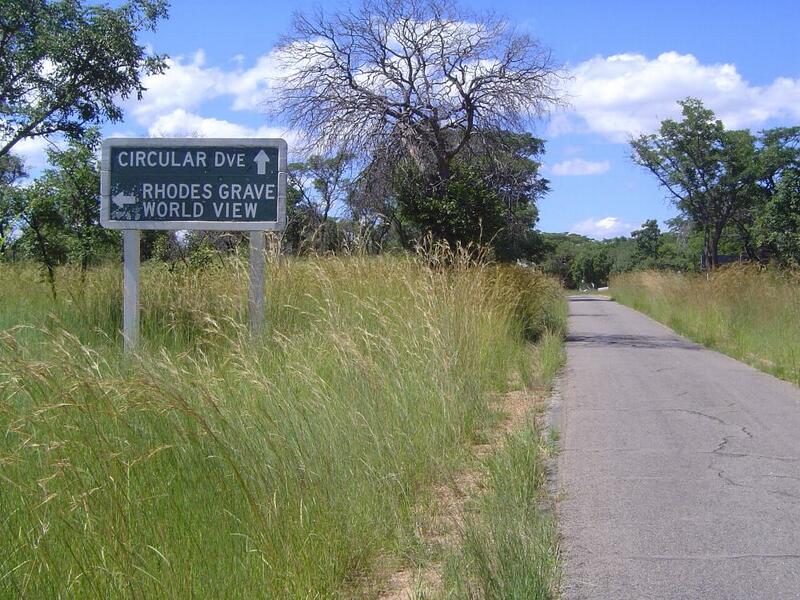 It's pretty boring, but it made the news in 2011 when its water supply was shut off for non-payment. 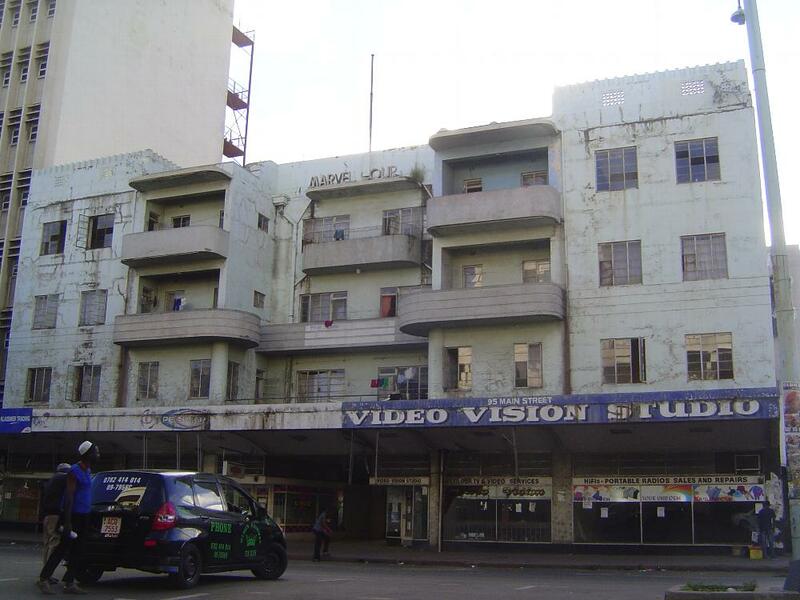 The building was then condemned as unfit for occupancy. Somebody intervened and at least a trickle of water came back. 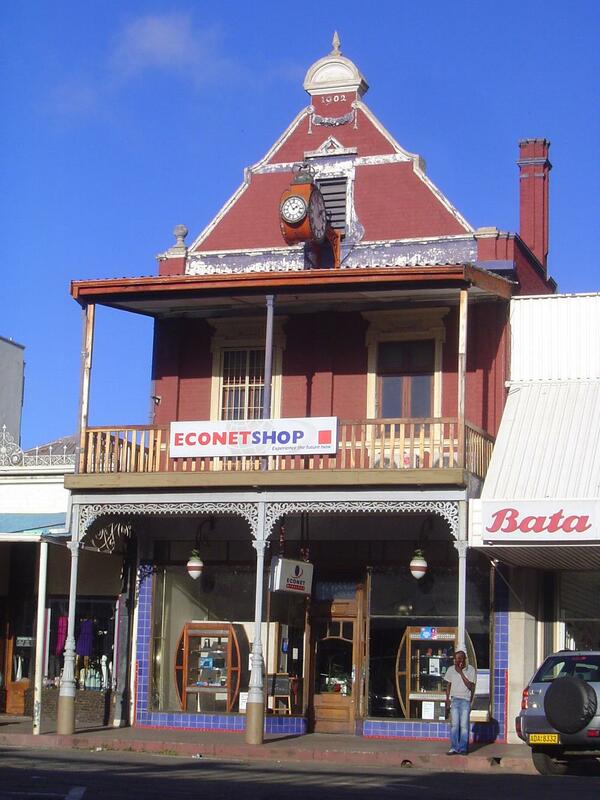 The most interesting part is this older sandstone arcade. The gates are all locked tight. Guess what's behind them. 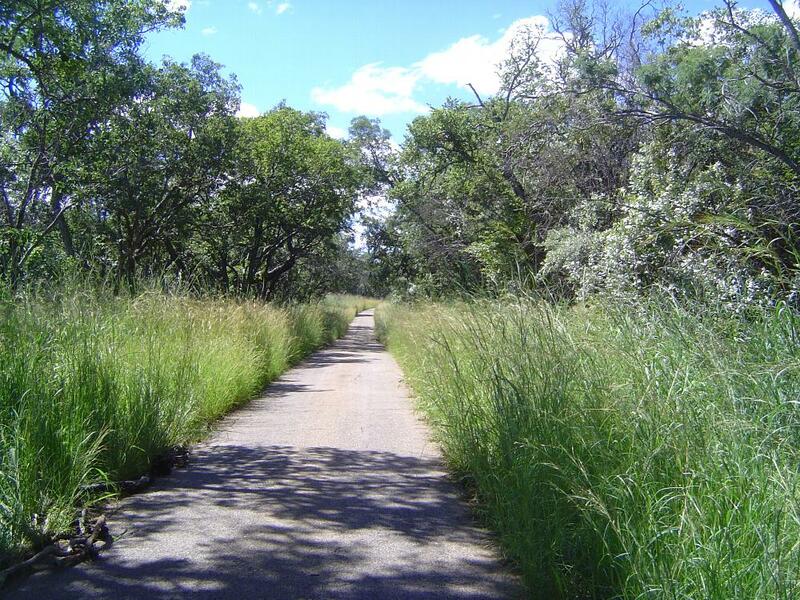 It's a little "Hero's Acre," though the monuments can't be approached. These are least are legible. 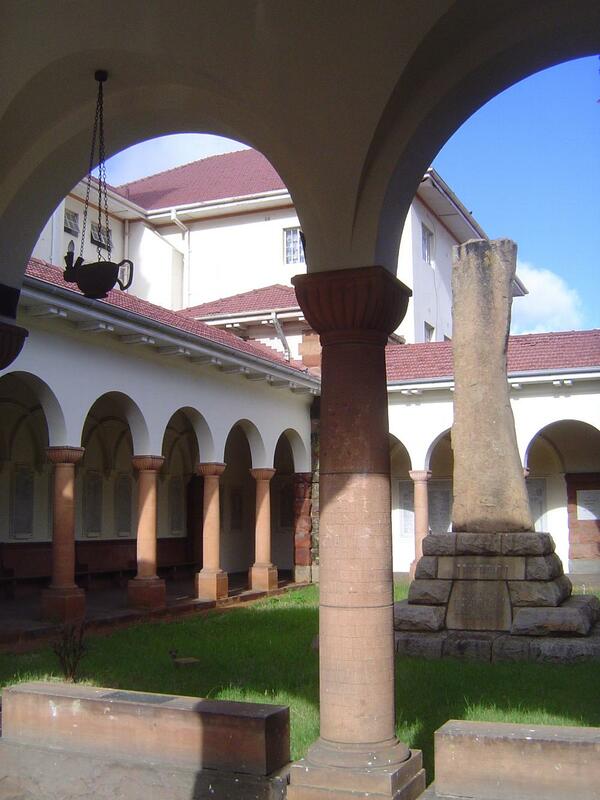 BSA refers to British South Africa, Rhodes' company. 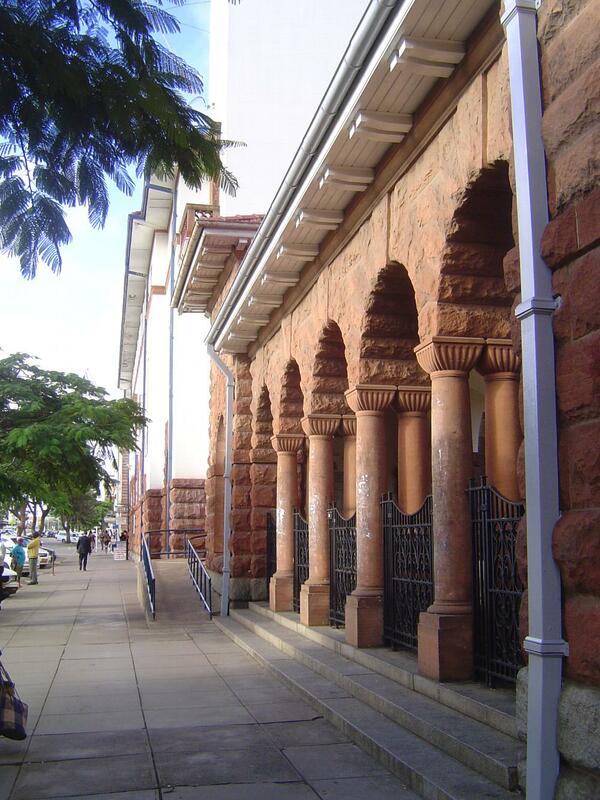 The High Court, at the head of Eighth Avenue. 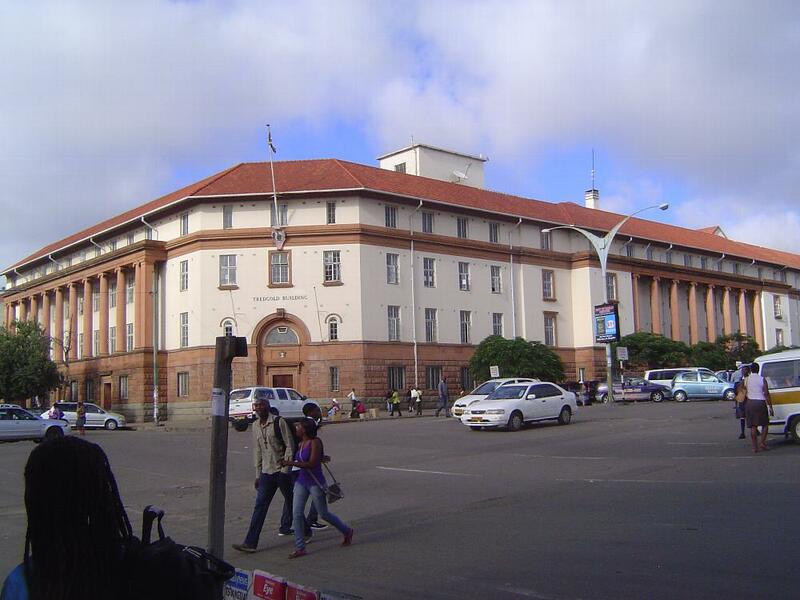 Also from the 1930s, it echoes the high court in Johannesburg. It's a severe fusion of Classic and Modern. Stripped classical? The simpler explanation is that money was tight. What could this be? 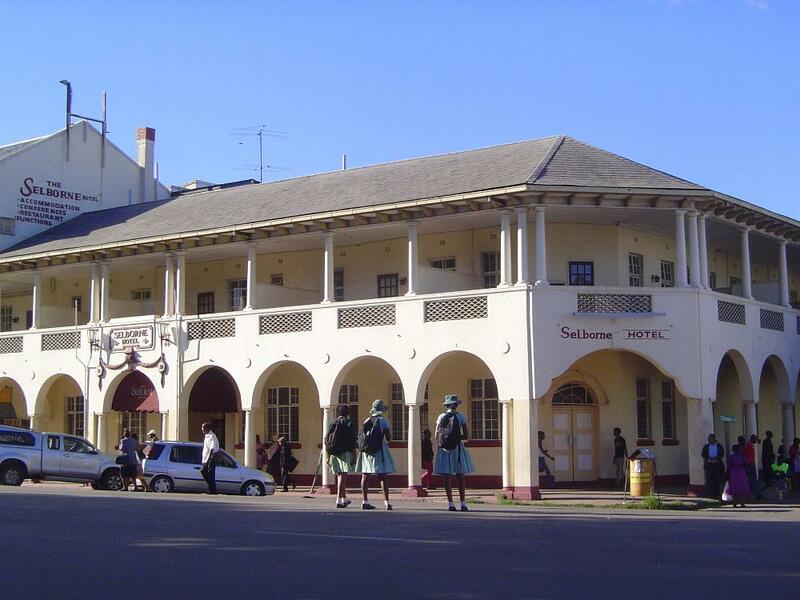 It's not commercial, it's not a government office, it's not residential, yet it's an essential part of any colonial town. Any ideas? 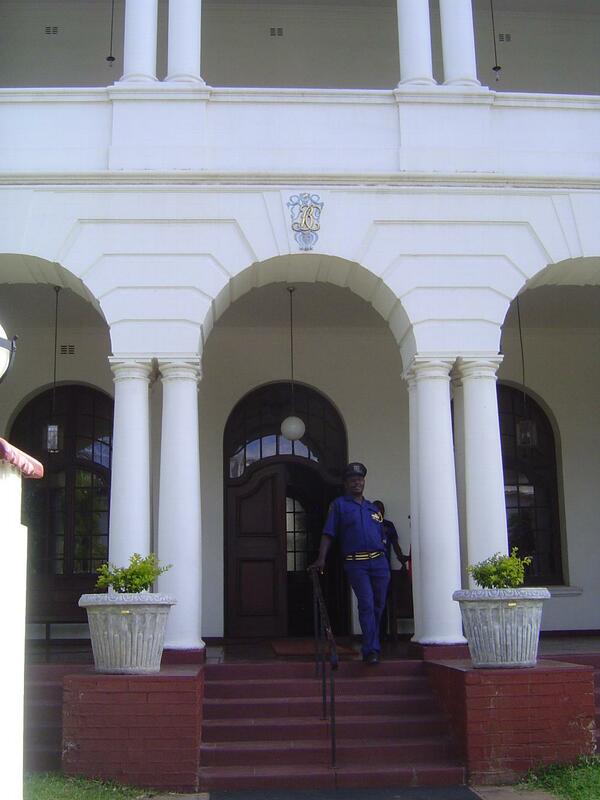 The logo tells the story: BC for Bulawayo Club. 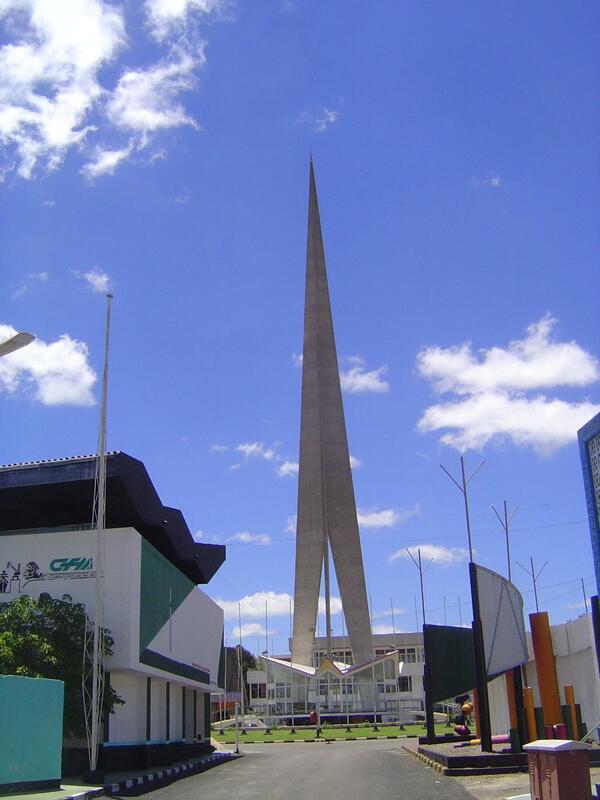 It opened in 1935 and replaced an earlier version. 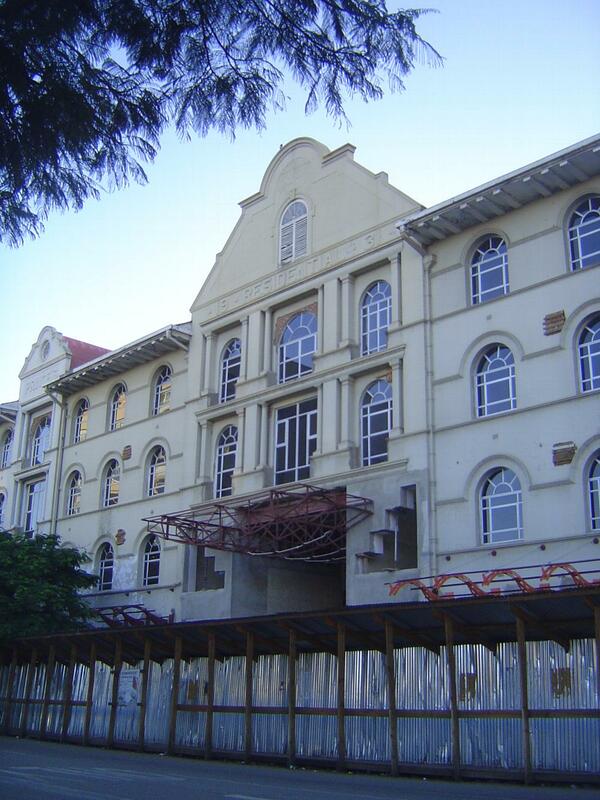 In 2014, the interiors were being refurbished for a hotel scheduled to open that year. The ground-floor rooms included a dark-paneled lounge and a teak bar that stretches forever. Who knows? There once was a United Empire Club based in England but with branches hither and thither. 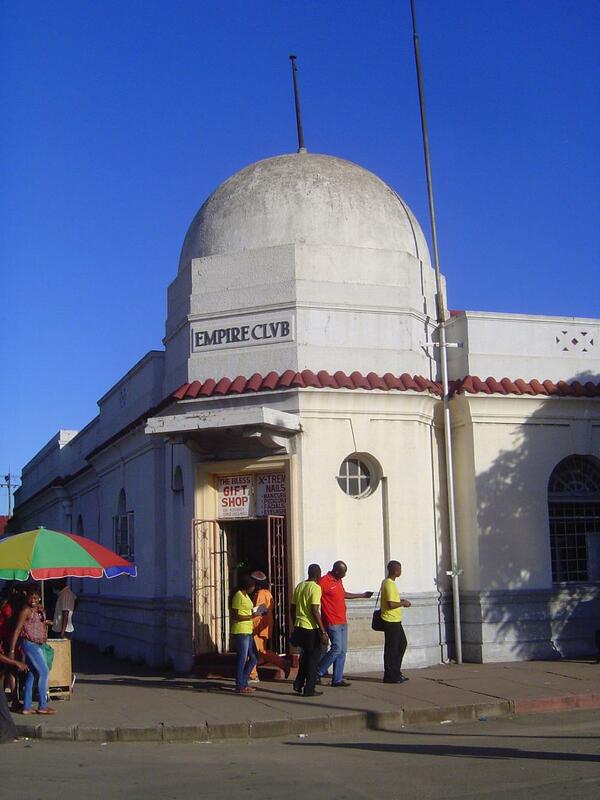 The club was known informally as the Empire Club, so maybe that's what we're looking at. 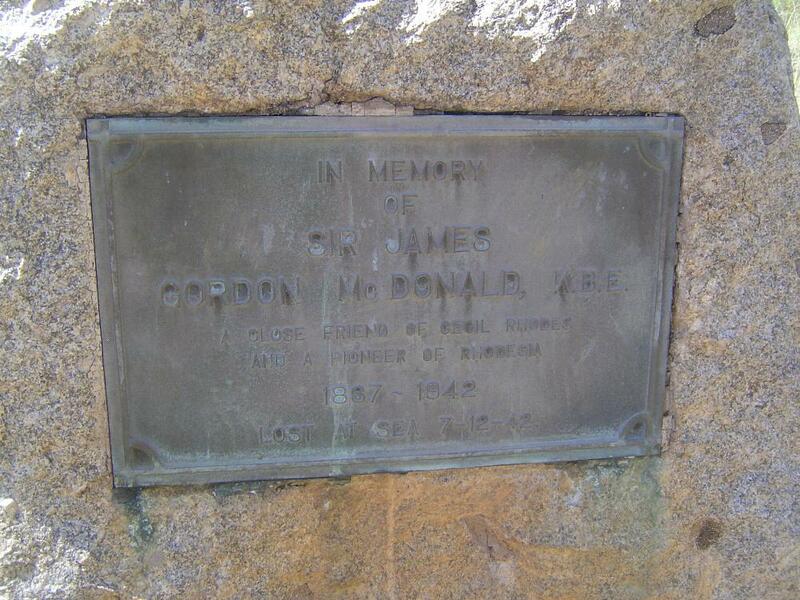 Corroborating evidence: the foundation stone was laid by John Gordon McDonald, a longtime associate of Rhodes and author of a 1927 biography of that man-colossus. Another link to Rhodes. Alfred Beit was the quiet partner in DeBeers. 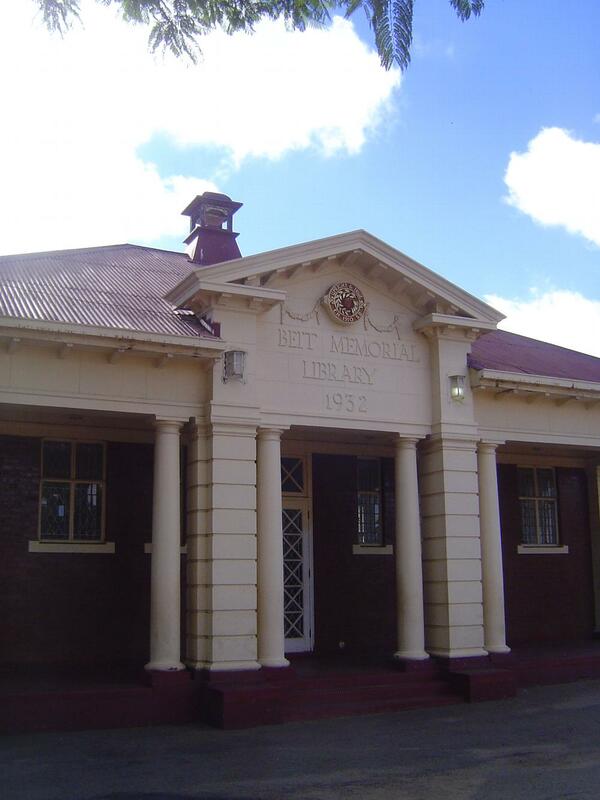 Childless like Rhodes, Beit's philanthropy reached far and wide, including libraries like this one at Silundika and 12th. 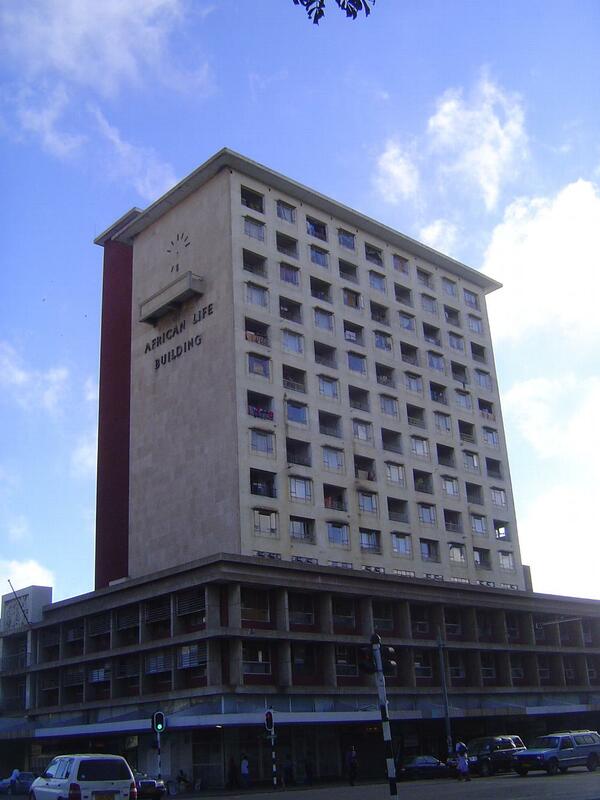 An office building of the era. No ironwork here. 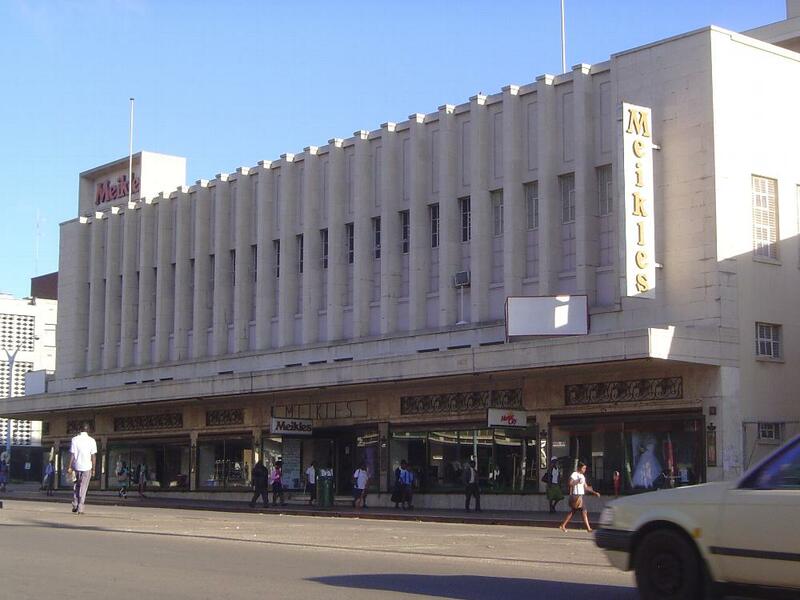 Whether in Bulawayo, Salisbury, or several smaller towns, Meikles was for generations Rhodesia's Macy's. Most Europeans of means lived in a suburb imaginatively called Suburbs, but apparently there was a market for city living, because there are several blocks of flats. Here's one from 1931, Prince's Residential Flats. 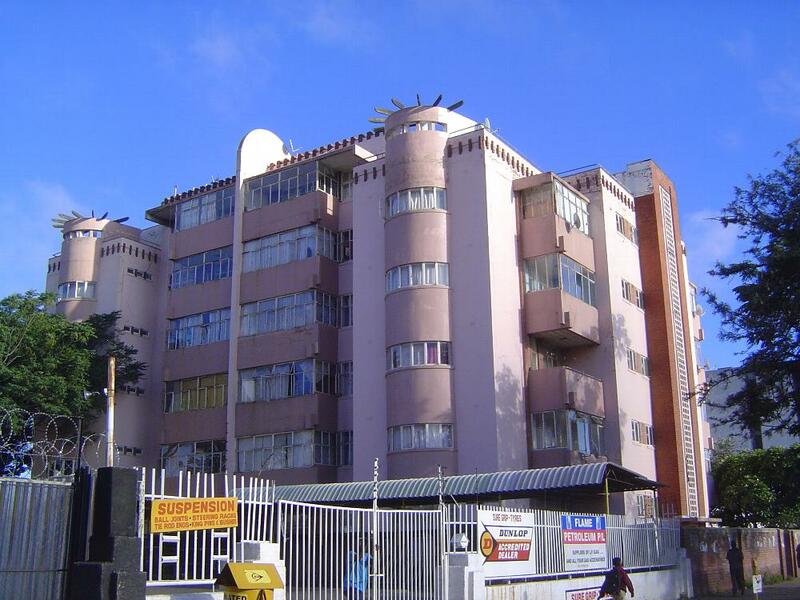 Some of these flats were conspicuously stylish, like this one, Marvel House. Times change, however, and all the tenants were evicted in 2013. The water had been turned off, rooms turned into toilets and brothels. Some of the tenants broke down the barriers and moved back in. The owner? None other than the Church of Scientology. Go figure. Another block, less elegant unless you like helicopters. Flats continued to be built into the 1960s, judging from this one. A few office highrises went up, too, including Pioneer House at Fife and 8th, across from the City Hall. Who was Lendy? 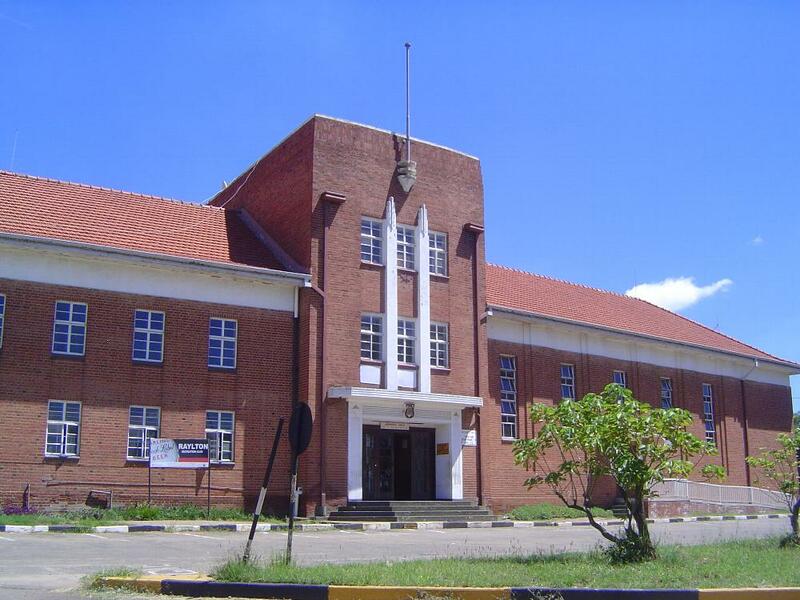 Roger Marston argues that "Lendy physically established the abiding Rhodesian principle that any dissent by the natives, and particularly the Shona, must be met with force at the level that would nowadays be called 'shock and awe.' 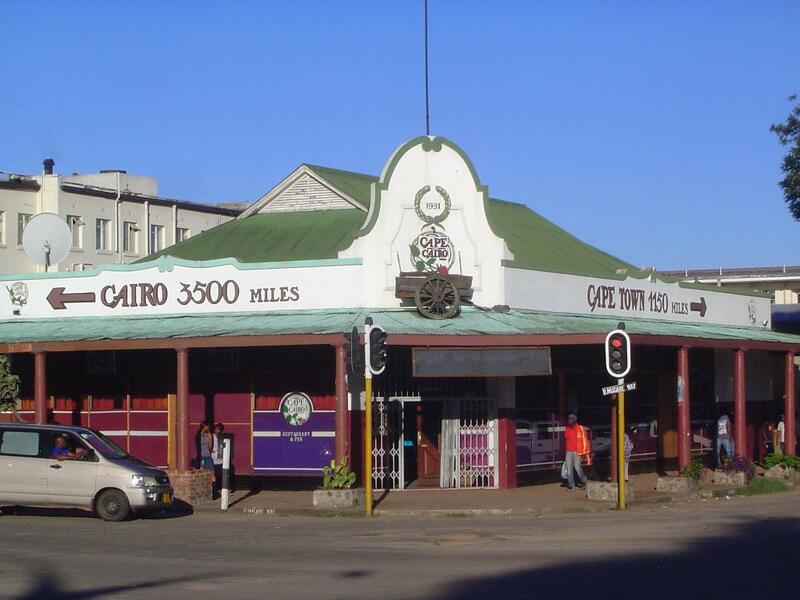 He did this in the so-called Ngomo Incident in 1892 when presented with an allegation of impertinent shop-lifting by a Shona community he mounted an unannounced attack on the village with artillery (a seven-pounder and a Maxim gun) which left at least 23 villagers dead. 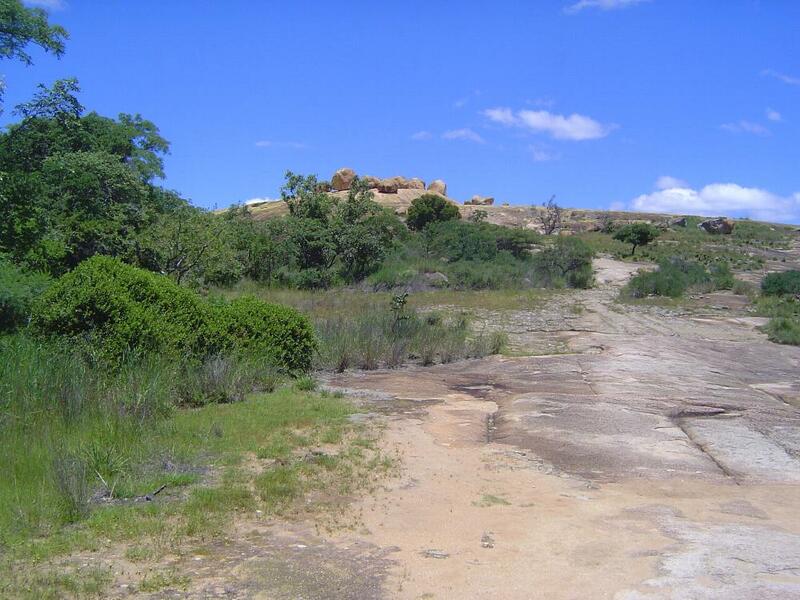 Two years later he was largely responsible for kickstarting the Matabele War"
See Marston's Own Goals (2010), p. viii. 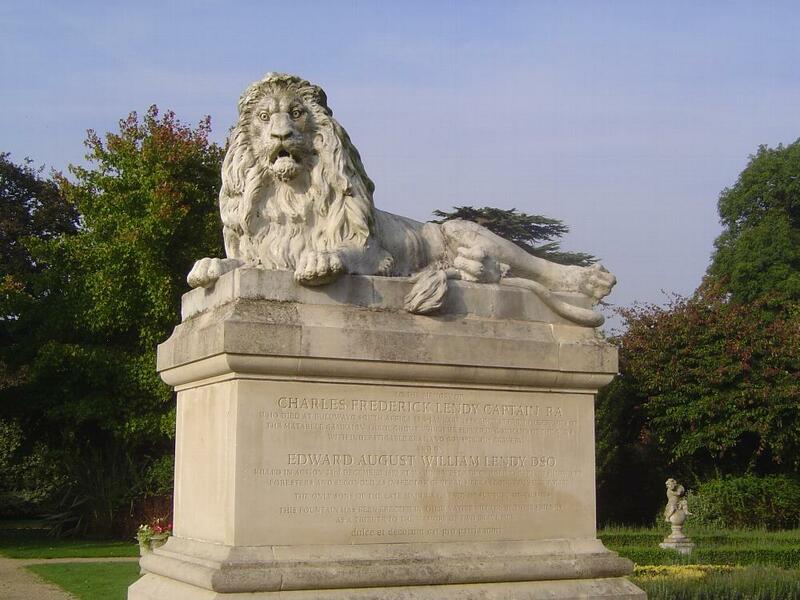 A quick detour now to Sunbury on Thames, where, about three miles south of Heathrow Airport, there's another monument to Lendy. 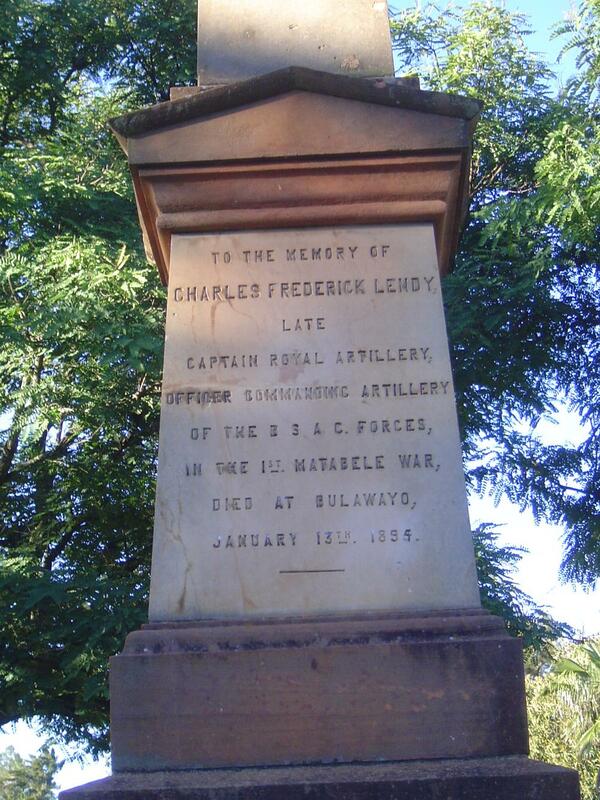 "To the memory of Charles Frederick Lendy, Captain RA, who died at Bulawayo, South Africa 15th January 1894 aged 30, from the effects of the Matabele Campaign through which he served in command of the guns with indefatigable zeal and conspicuous bravery." 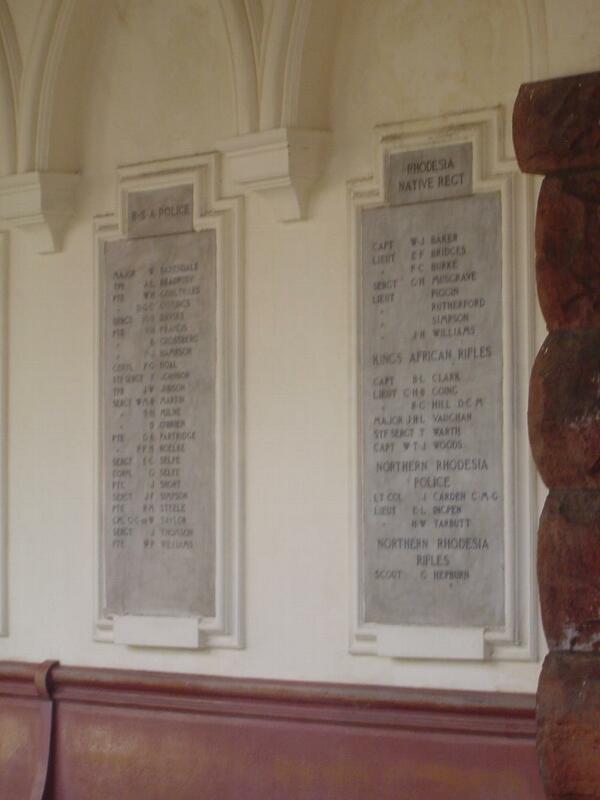 The inscription continues: "Edward Augustus William Lendy DSO killed in action 23rd December 1893 at Warina, West Africa aged 25. Captain, Sherwood Foresters and seconded as Inspector General Sierra Leone Frontier Police. The only sons of the late Mayor Lendy of Sunbury on Thames. 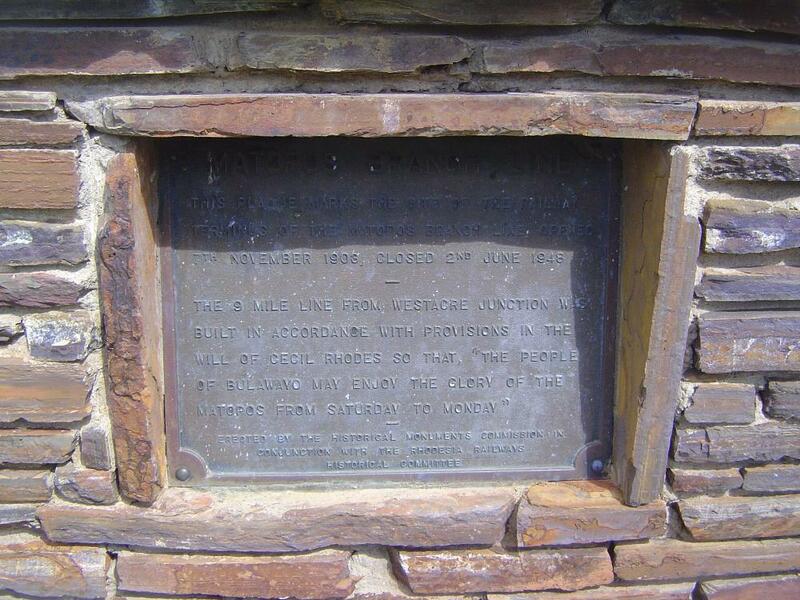 This fountain has been erected in their native village by their friends as a tribute to the memory of two brave men." 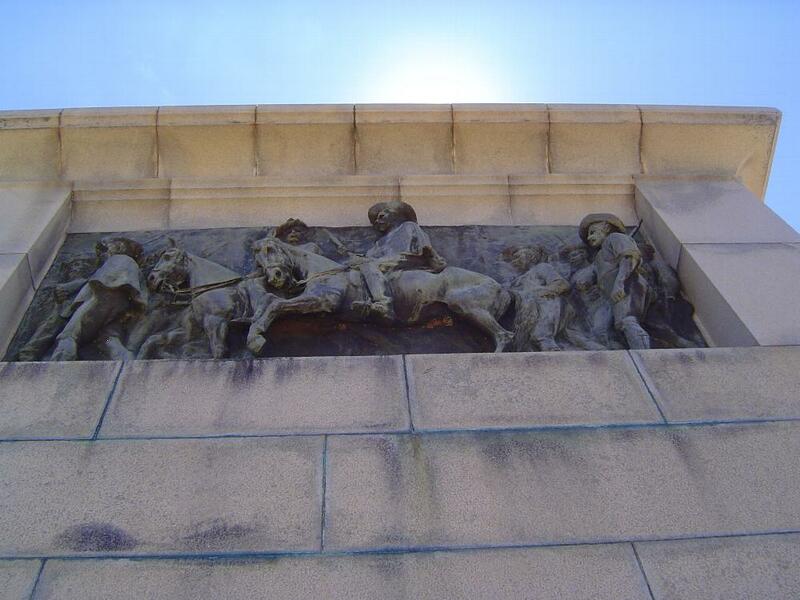 The monument has been moved from its original location to a small park and no longer has a fountain. 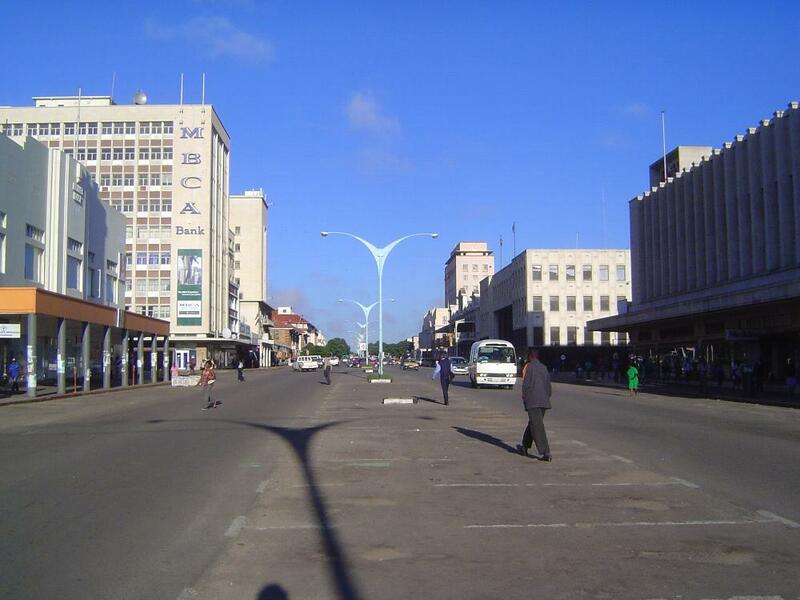 Back to Bulawayo and a typical street in Suburbs, which covers a grid of about seven by nine. 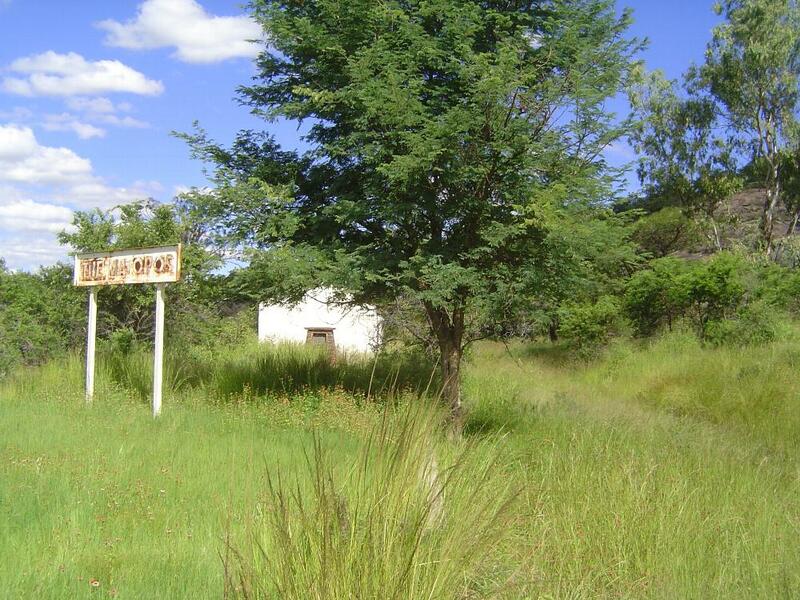 It's very quiet, but all the houses have perimeter walls topped with electrified wires, in the manner of South Africa. A house in Suburbs. 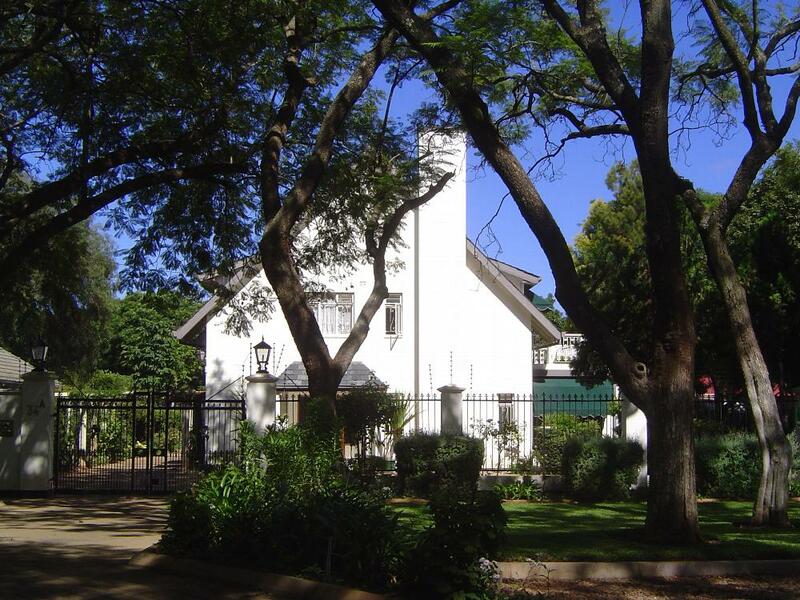 It once belonged to the minister of industry in the Rhodesian government. 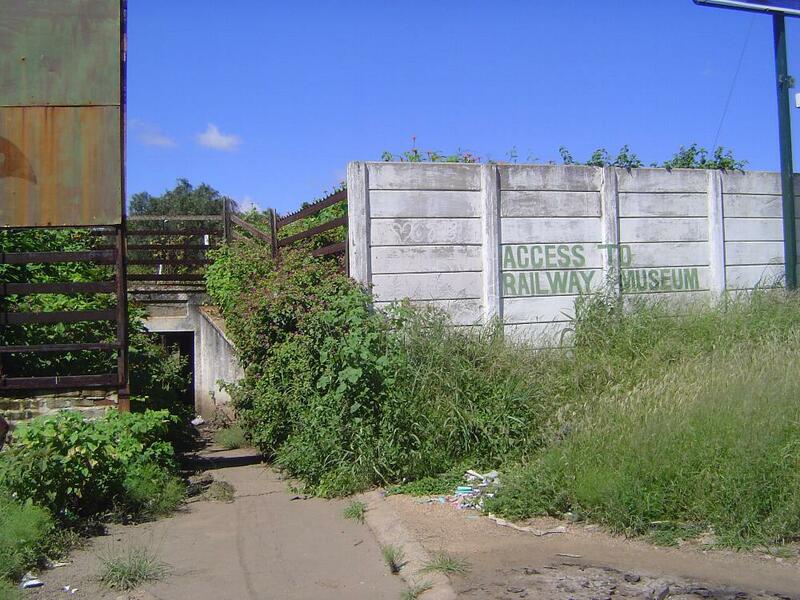 Back then, it had no perimeter walls, let alone electric fencing. Another house in Suburbs. Notice the electric insulators atop the concrete pillars. 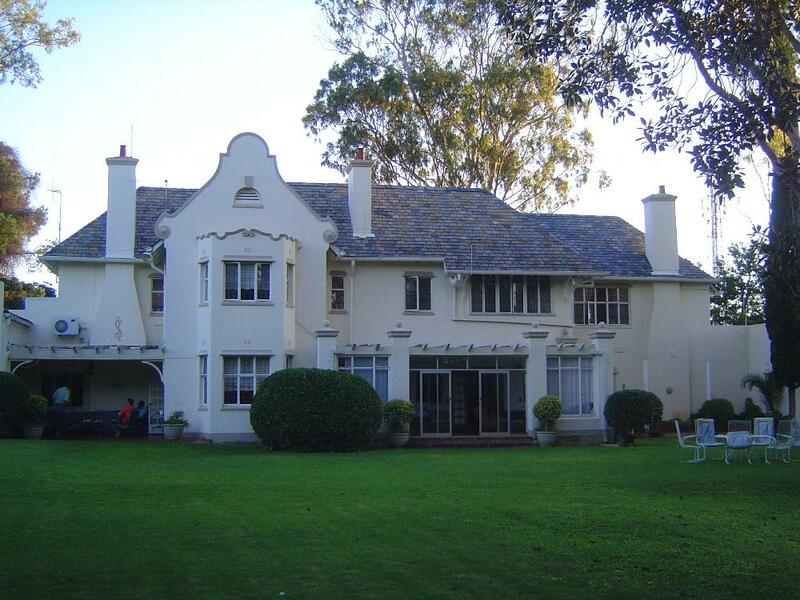 The house was for sale in 2014, and probably at a bargain price. 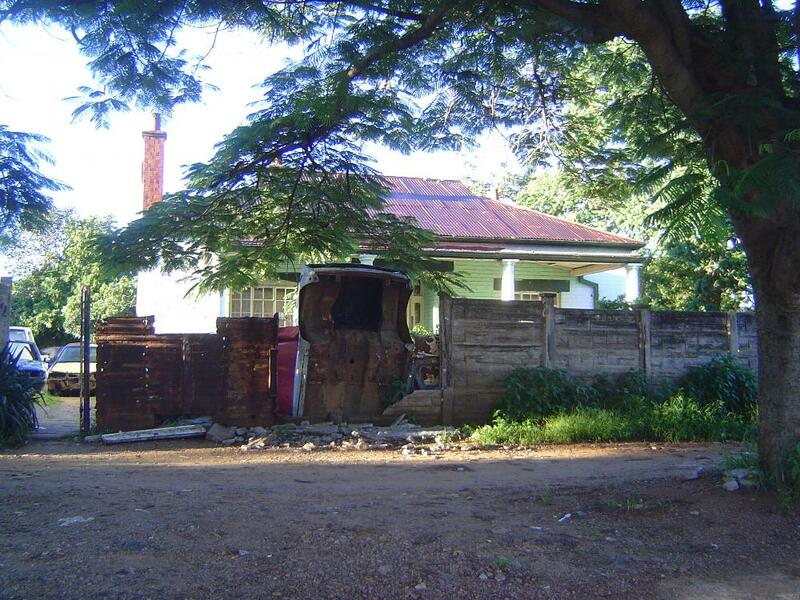 Here's a house at the edge of City Centre, in a rundown neighborhood where fences are made of whatever's available. The owner is getting by without electric protection. 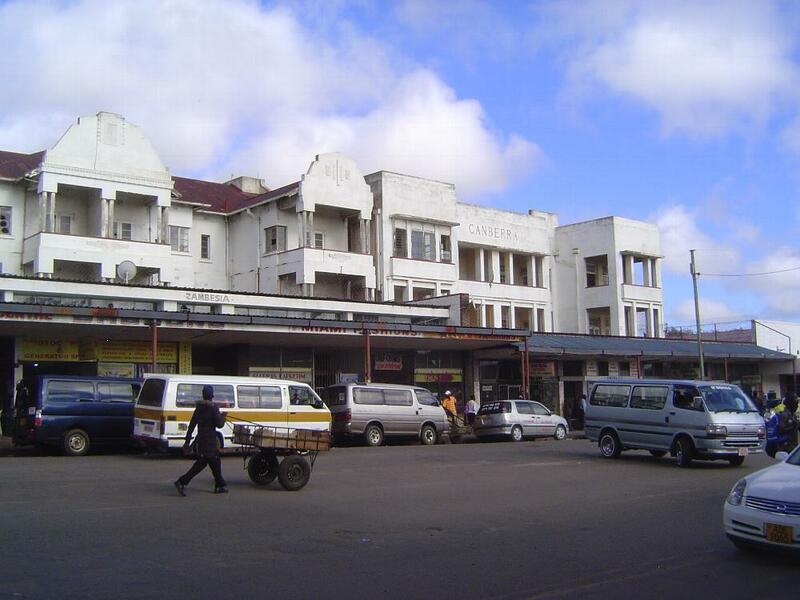 Bulawayo once had a busy industrial zone, curiously called Belmont. 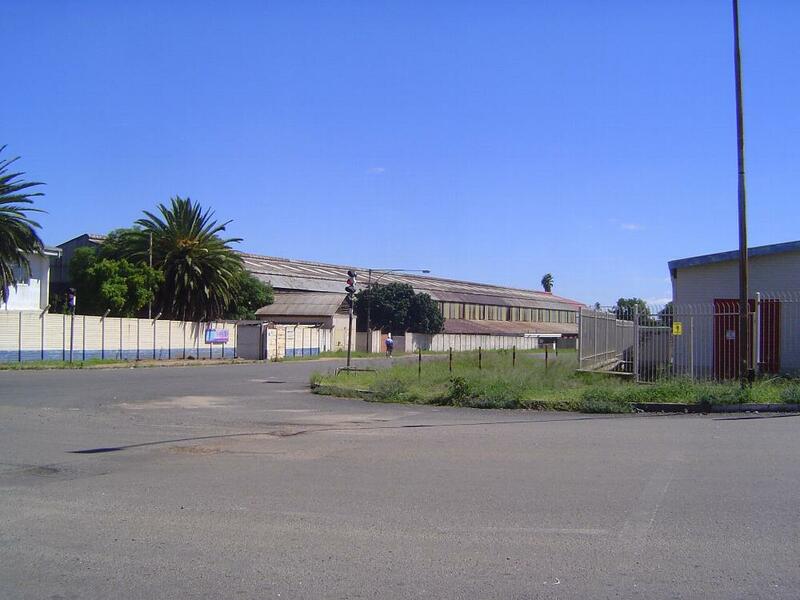 Nearly all the factories, which specialized in textiles, were closed by 2014. The headlight goes on when you step on the boards. 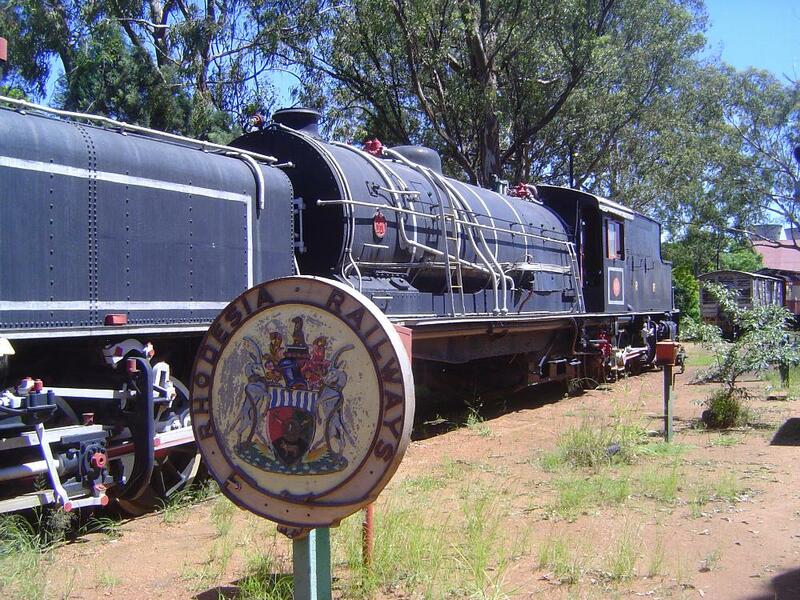 Rhodesia Railways bought 250 Garratt locomotives between 1925 and 1958. 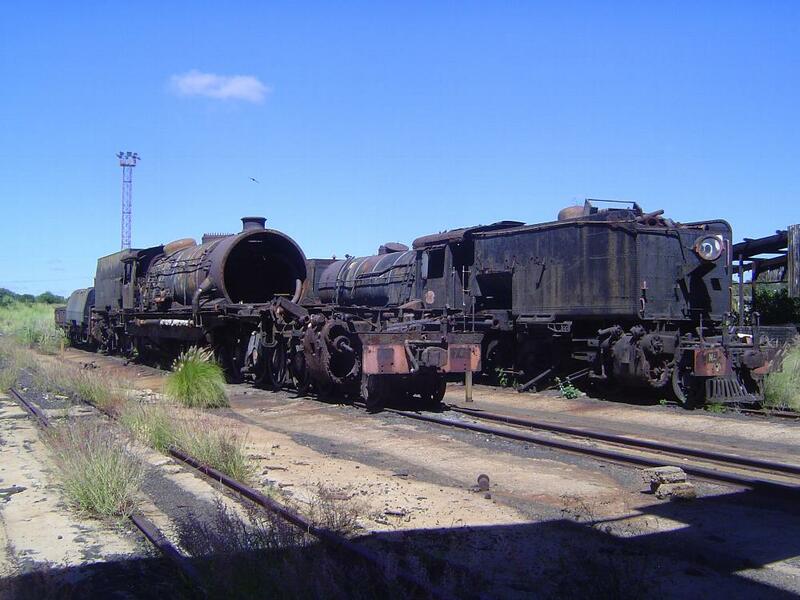 Articulated giants, they were designed to flex around the tight curves of a narrow gauge line, in this case the South African gauge of three feet six inches. One car comes with a serious door. Same car; it carried the payroll. 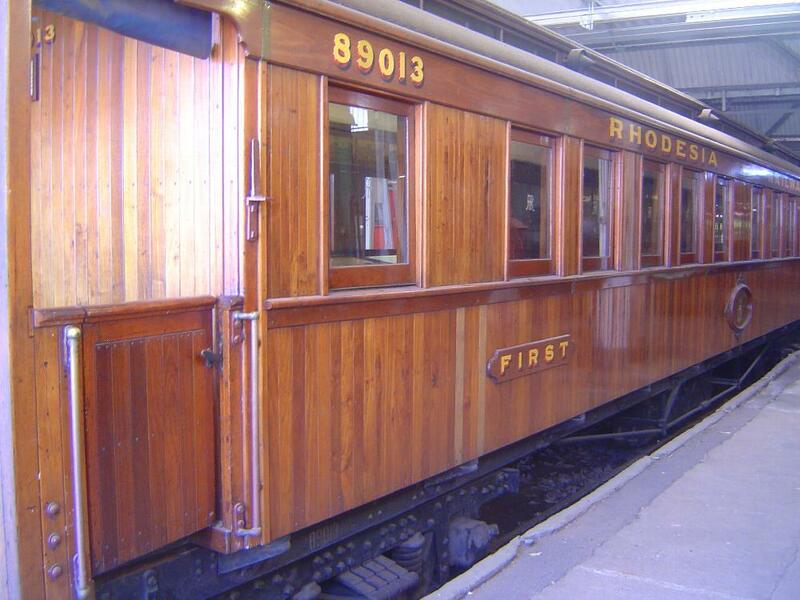 Rhodesia Railways survived as an independent company until 1967. 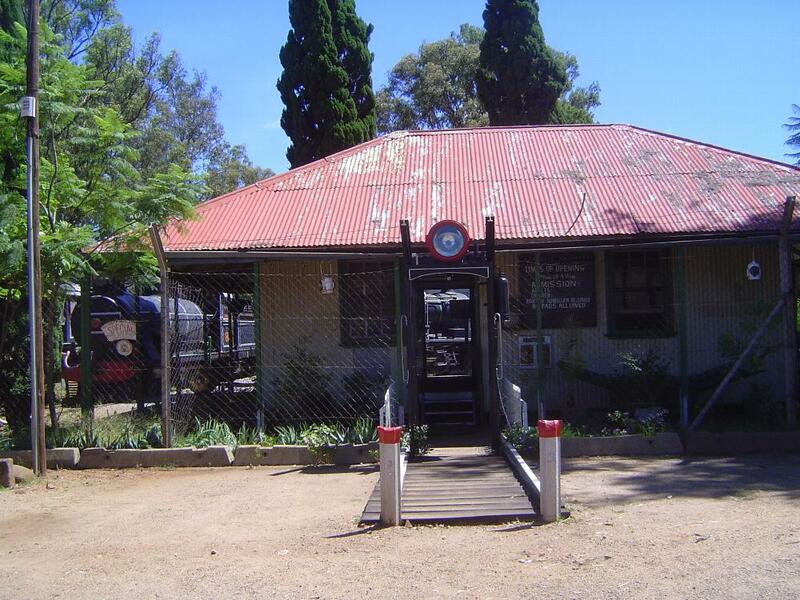 It operated to a high standard, which included worker benefits such as this Raylton Recreation Club, a short walk from the museum. 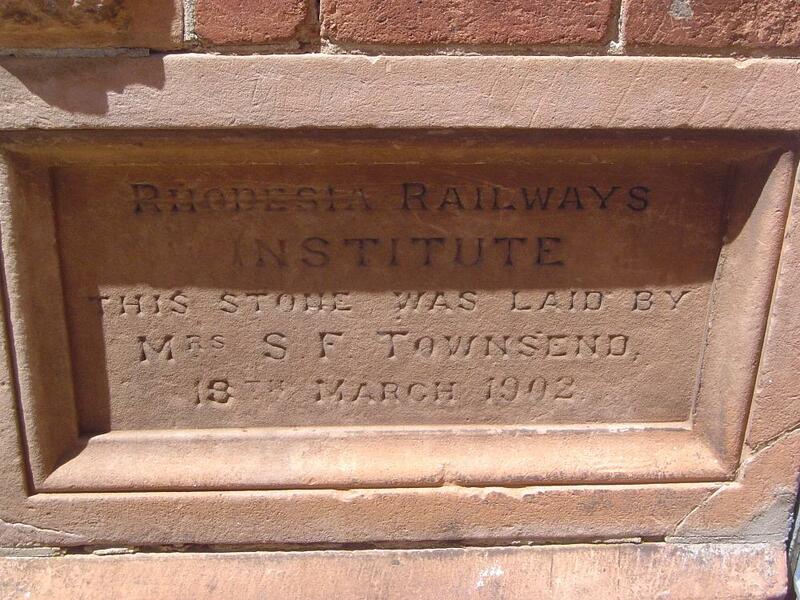 There was also a library for railway workers. 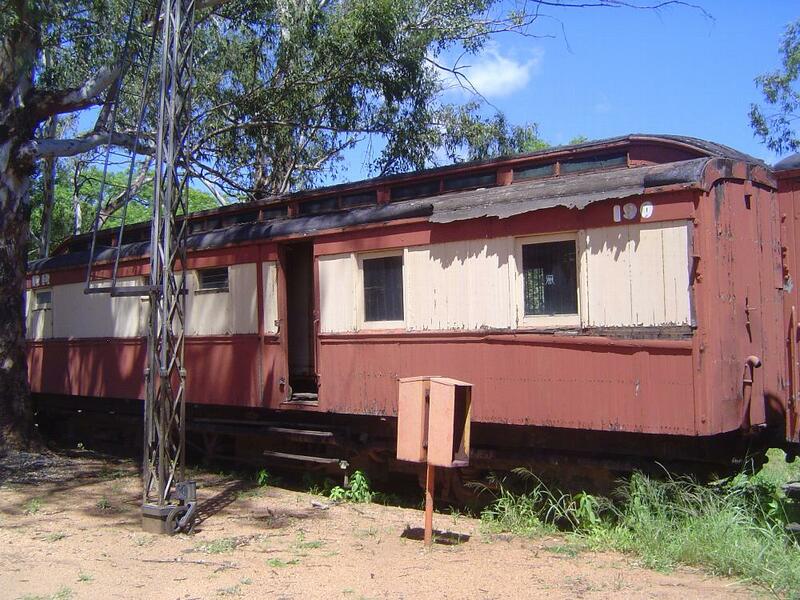 It's still in use (2014). 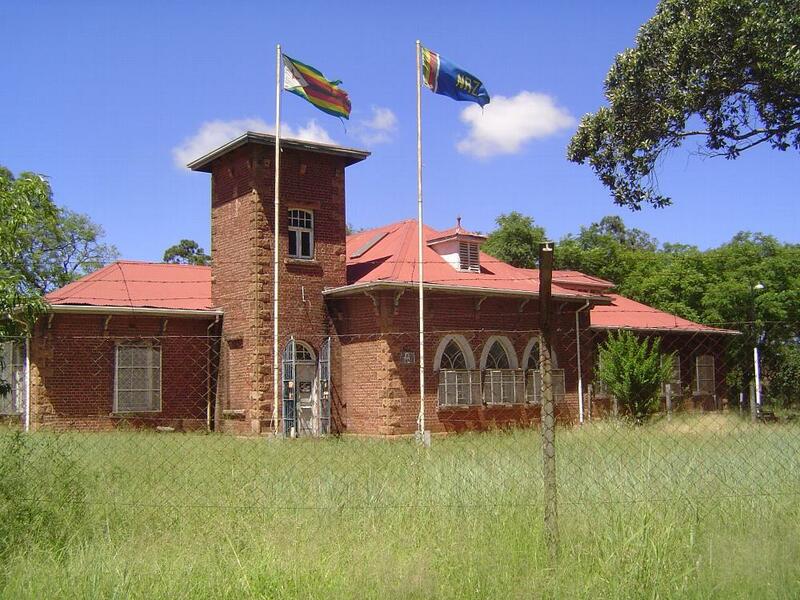 It's a different story for the old headquarters building of the railway company. A fire removed the roof. 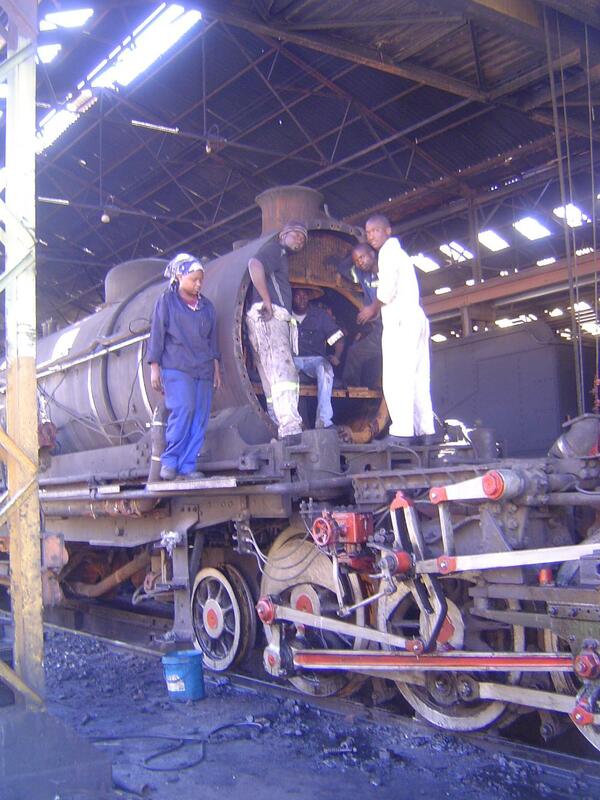 Most of the Garratt locomotives are no longer operable. This one's been cannibalized. A few are still in working order. The line operated from 1903 to 1948. The interesting bit can be read in the sunlit lines. 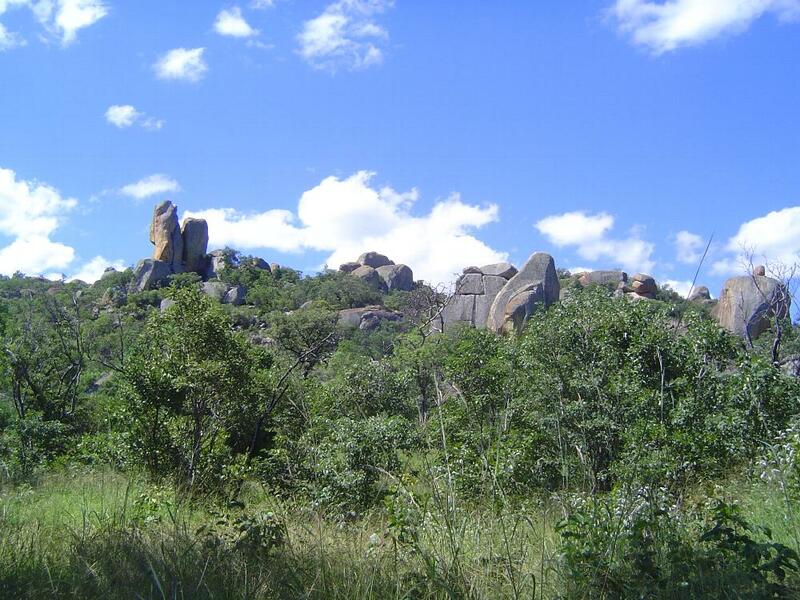 Nowadays, you drive to the Matopos. He-men will laugh at the road. "What! Paving! 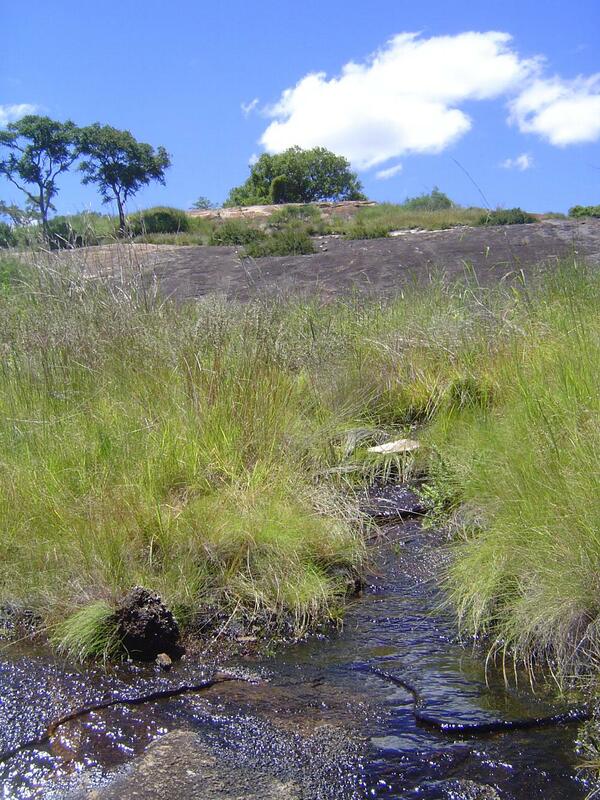 Where are the leopards? I want spoor!" But it's fun to drive. Passing lanes are few, and traffic is less. You know why we're poking around out here, don't you? The main attraction is near those pebbles up top. When it rains, a bit of grass sprouts. 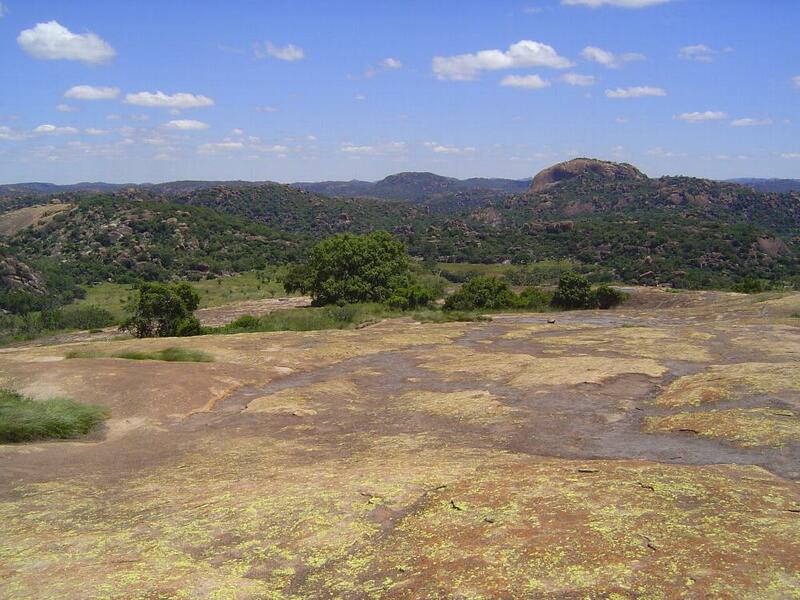 Here's the view from near the summit: 360 degrees of wildness. Here we are. 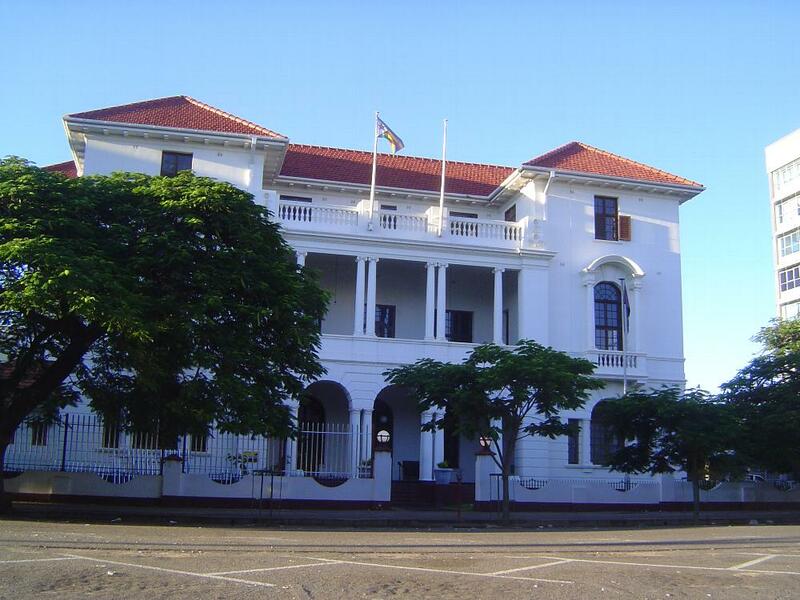 It's time to unfold the Last Will and Testament of Cecil Rhodes. 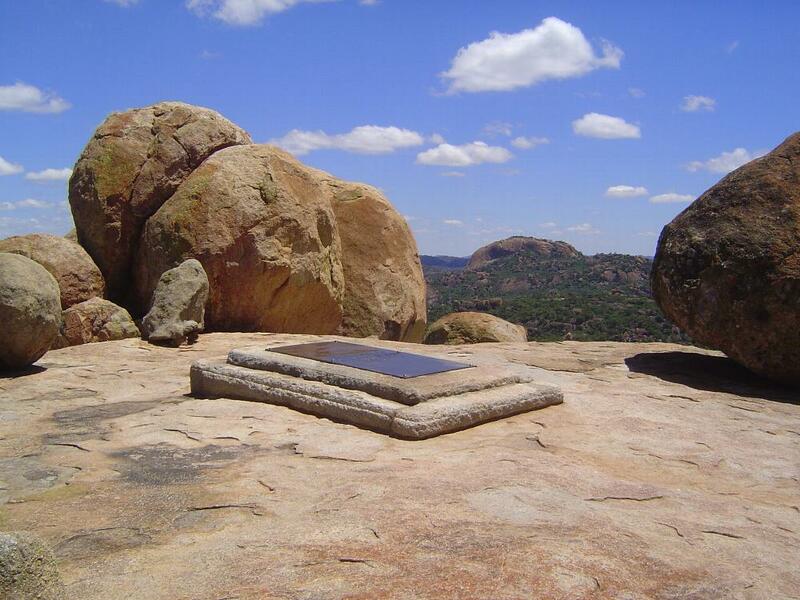 "I admire the grandeur and loneliness of the Matoppos in Rhodesia and therefore I desire to be buried in the Matoppos on the hill which I used to visit and I called the "view of the World" in a square to be cut in the rock on the top of the hill covered with a plain brass plate with these words thereon--"Here lie the remains of Cecil John Rhodes...."
Hard to find a better known, more polarizing figure in the history of the British Empire. What's this? Off to the side, another tomb. Who could it be? Ah! 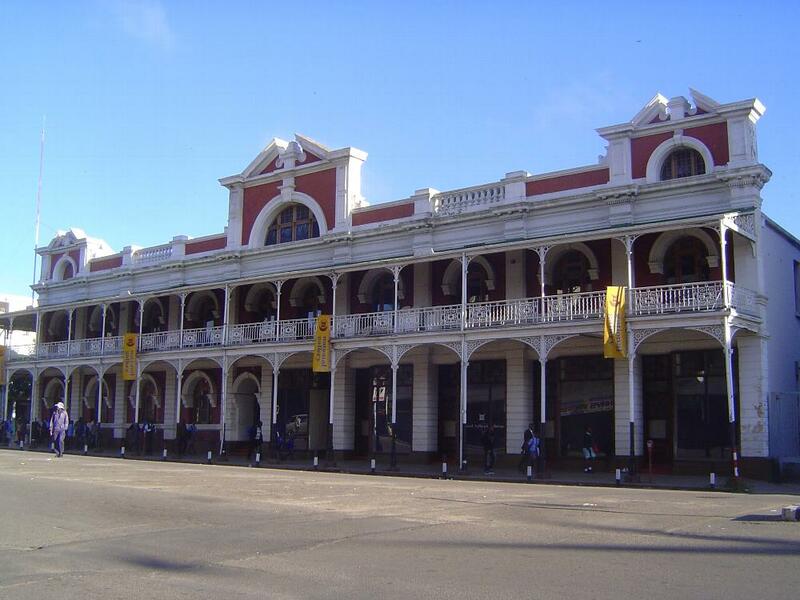 The doctor, colonial administrator, and good friend of Rhodes, who jumped the gun on the planned British takeover of Johannesburg, was rebuffed by the Boers, and did huge damage to the political ambitions of the man he loyally served. Off on the other side of the hill and down a bit there's a third grave. 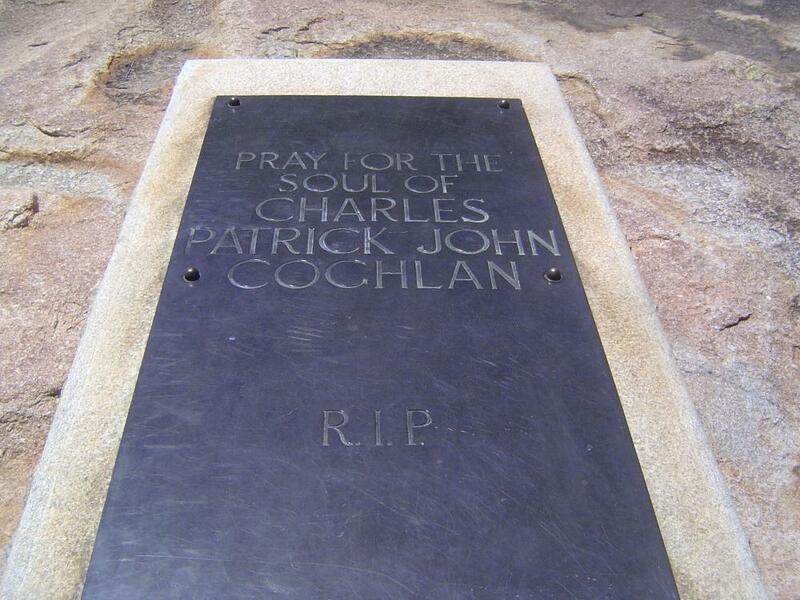 Cochlan is much less well-known than Jameson and infinitely less so than Rhodes, but he was the first premier of Southern Rhodesia, which in 1923 became a self-governing part of the empire. 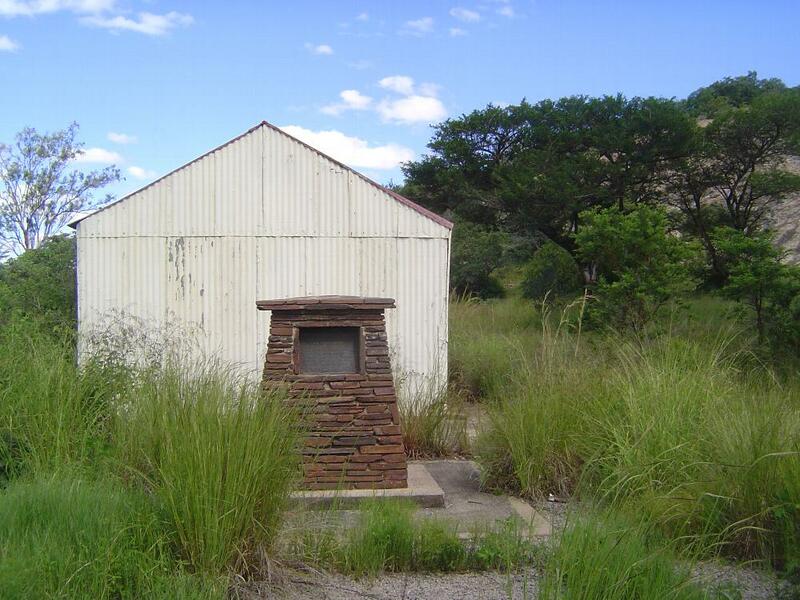 And one more grave, this time a collective one for the reinterred remains of the men who died on the Shangani River. 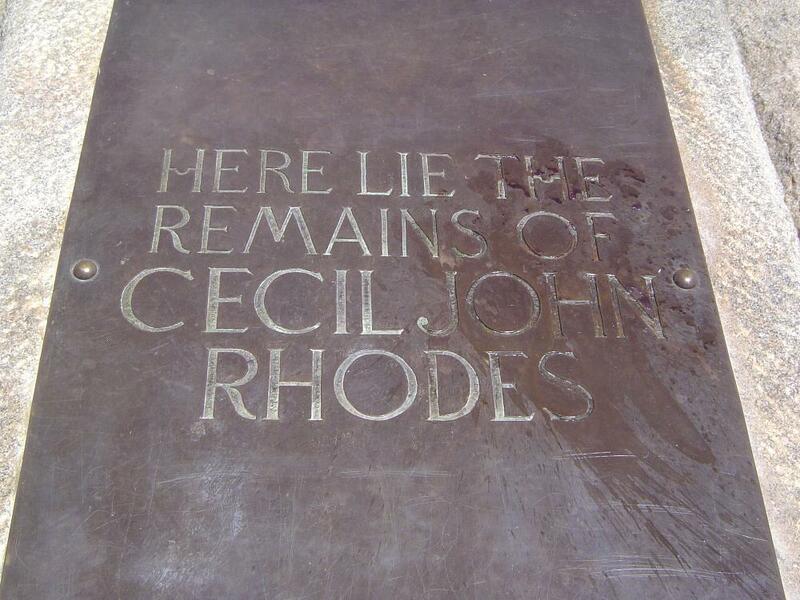 Rhodes was responsible for the monument. 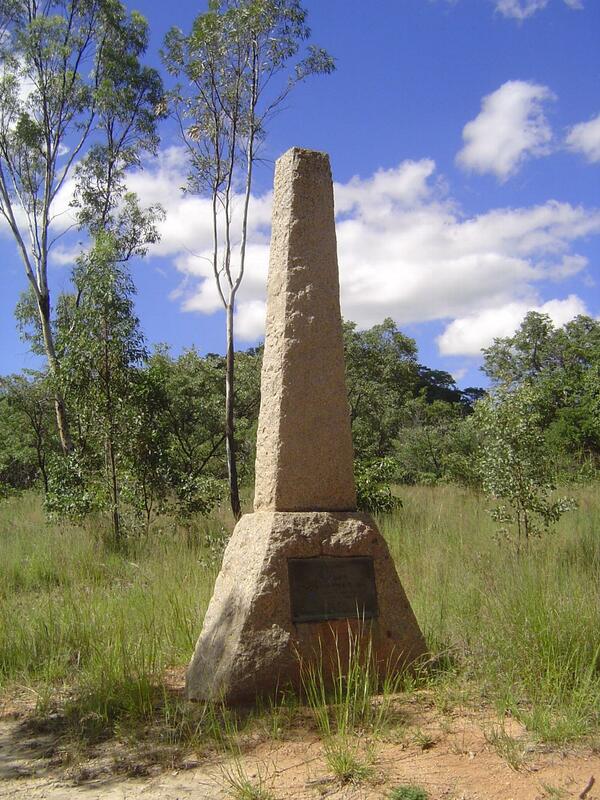 Back to his Will: "I direct my Trustees on the hill aforesaid to erect or complete the monument to the men who fell in the first Matabele war at Shangani the bas-reliefs for which are being made by Mr. John Tweed." 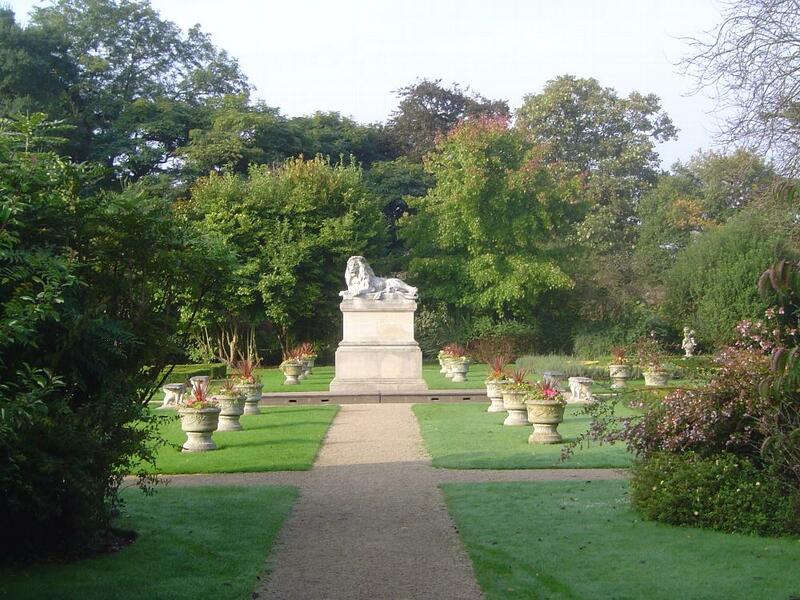 Tweed (1869-1933) was for a time assistant to Rodin. 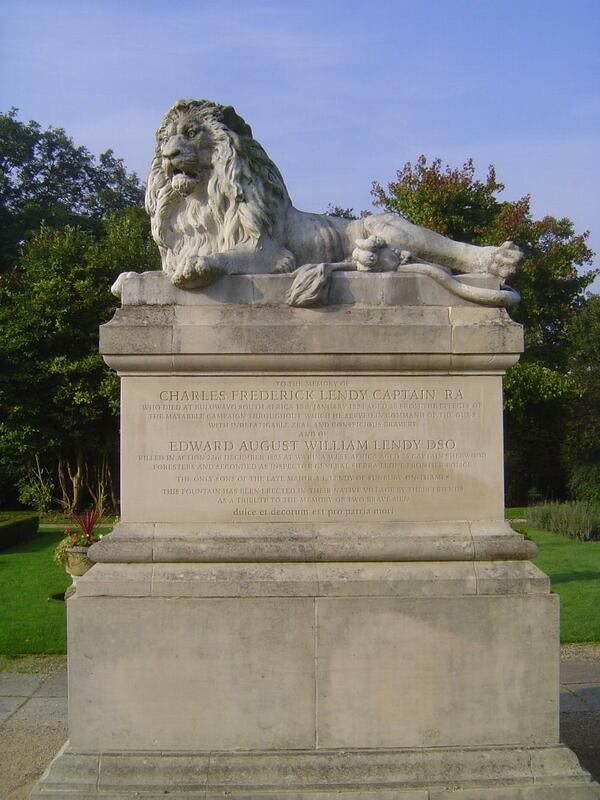 He did the statue of Rhodes that formerly stood in Bulawayo, and in London he did the Kitchener Memorial in Horse Guards, the Wellington monument at St Paul's, and the Clive monument on King Charles Street. 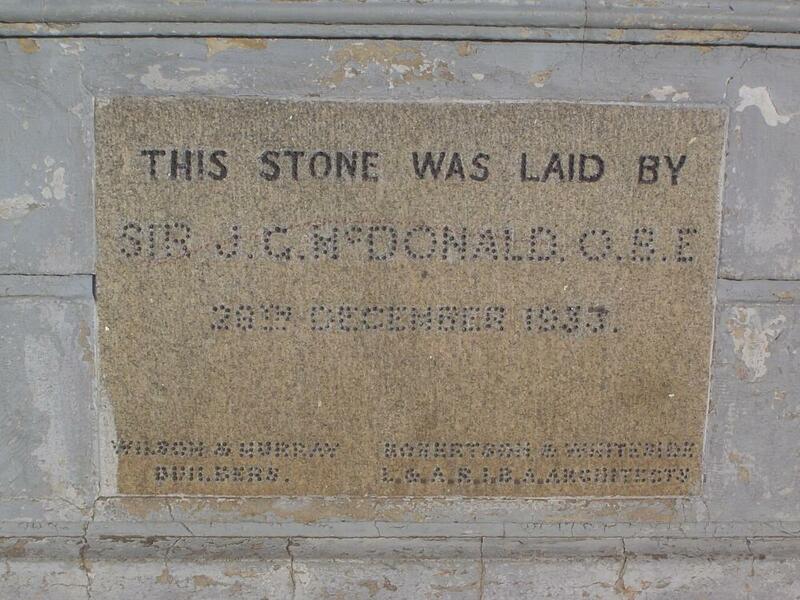 This monument, apart from Tweed's work, was designed by Francis Masey, the cathedral architect. 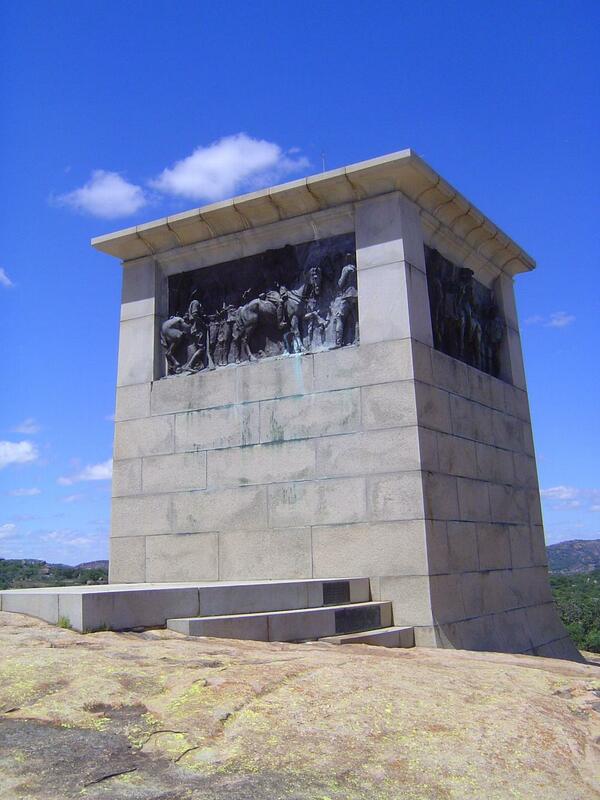 The inscription reads: "To the Enduring memory of Allan Wilson and His Men whose names are herein inscribed and who fell in fight against the Matabele on the Shangani River on December the 4th, 1893. There was no survivor." You can't miss the place. 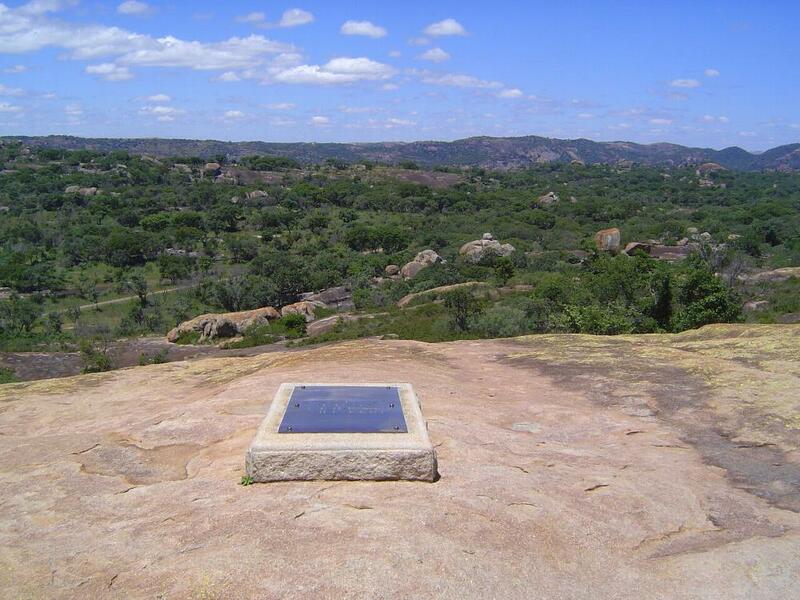 A few miles away, another monument. 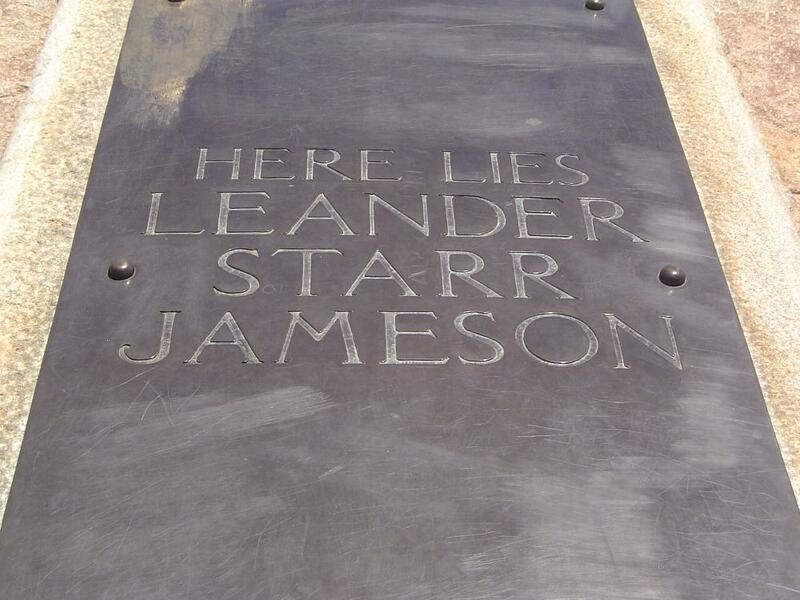 We saw McDonald's name on the stone outside the Empire Club. 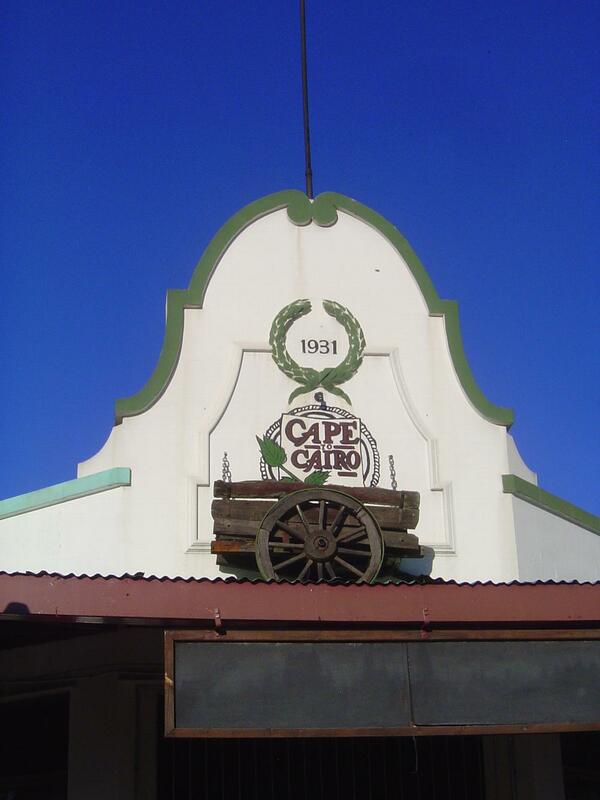 He was one of more than 600 people on board the Ceramic, which late in 1942 sailed from Liverpool for Cape Town. It never made it: about 400 miles northwest of the Azores, U-515 torpedoed the ship. Boats were launched, but it was a stormy night, and everyone aboard was lost, save one man taken aboard the U-boat at its captain's order.